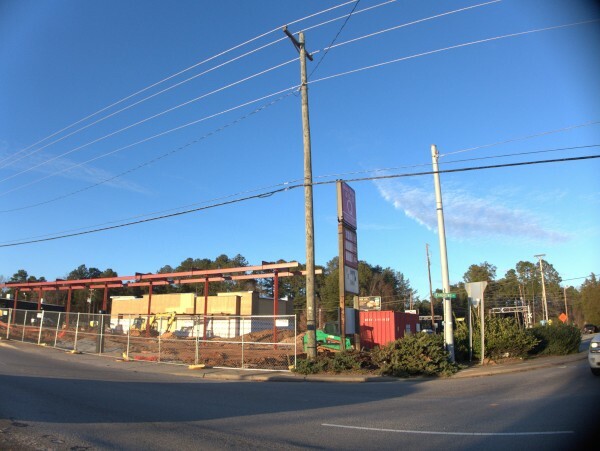 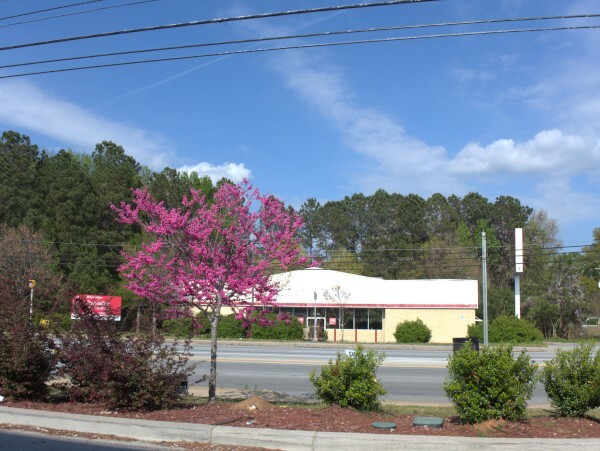 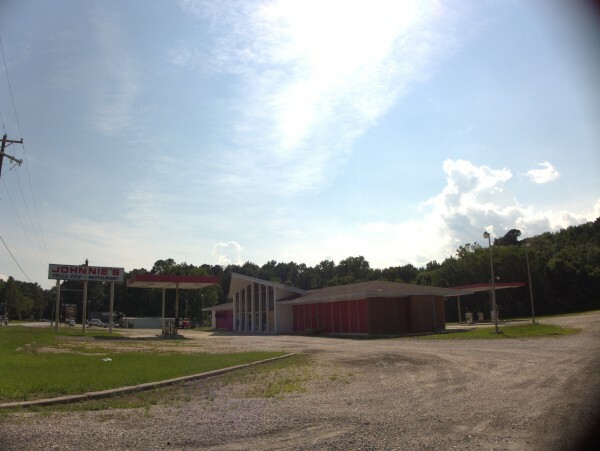 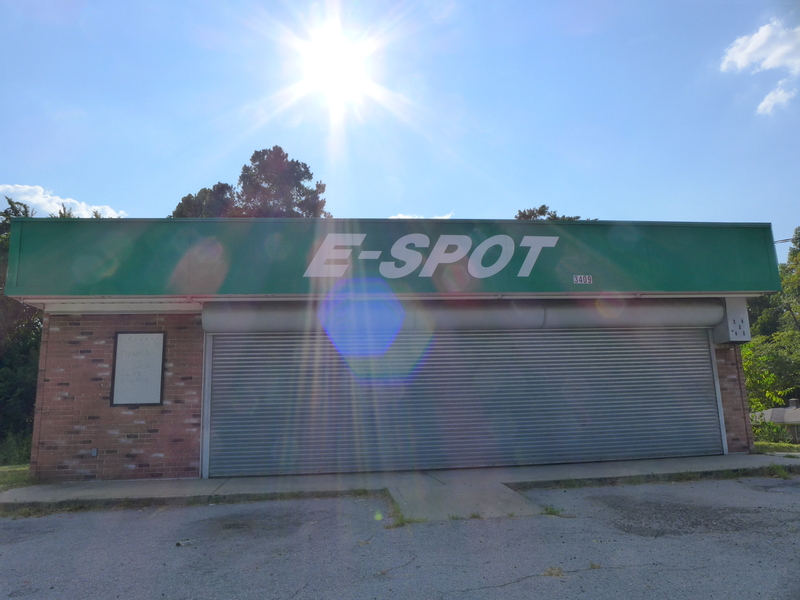 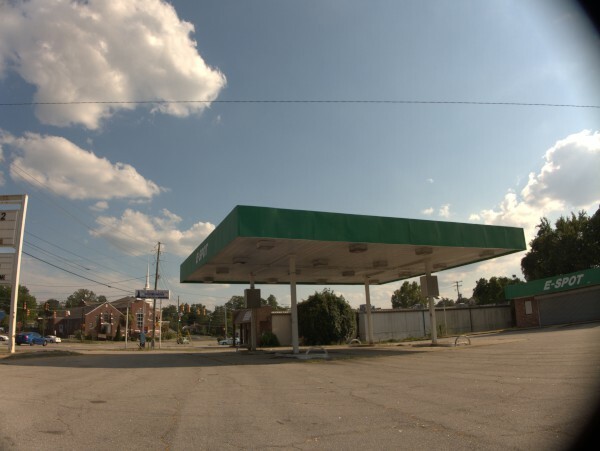 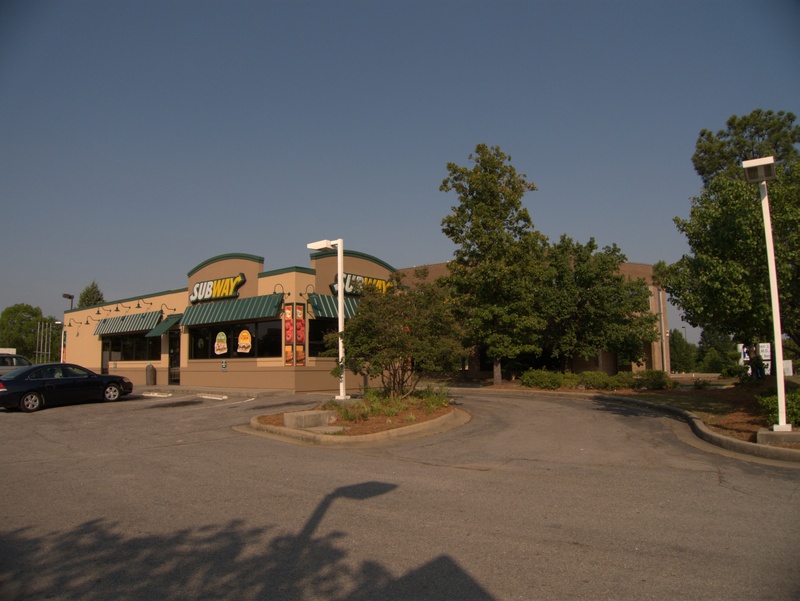 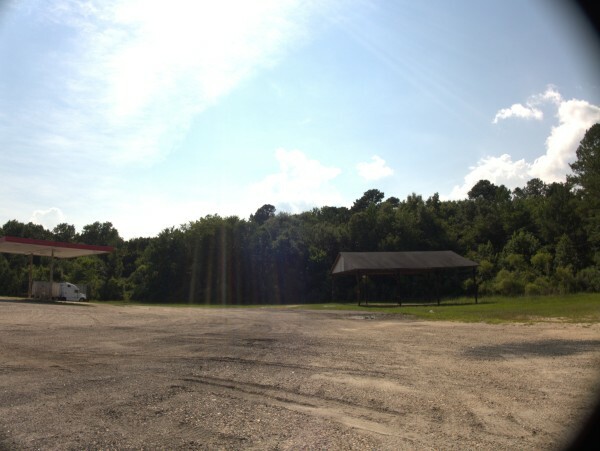 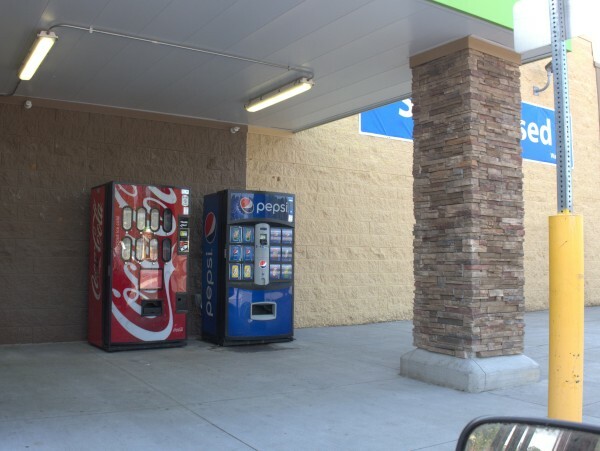 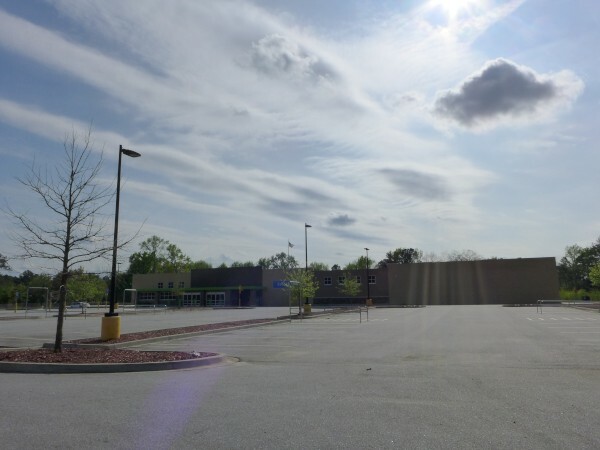 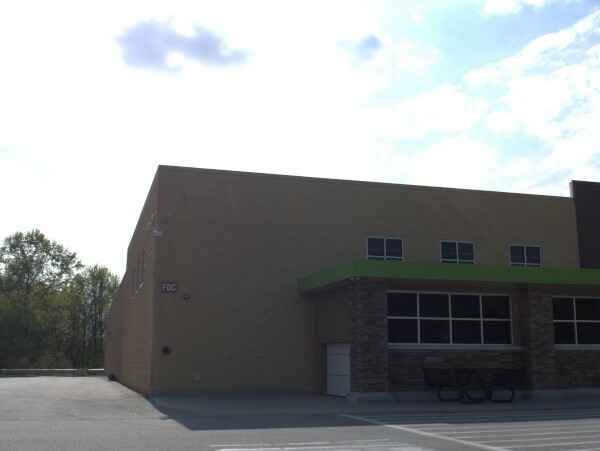 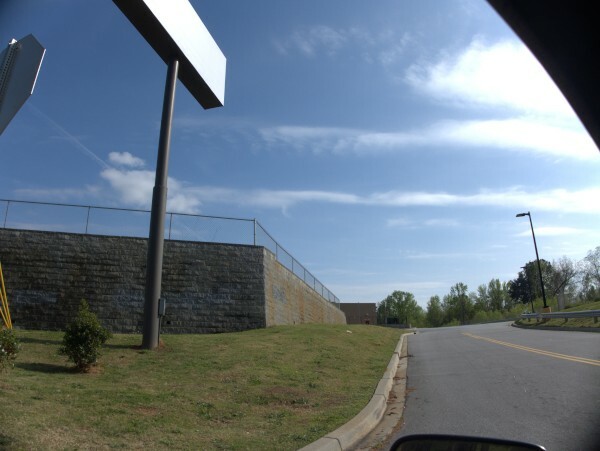 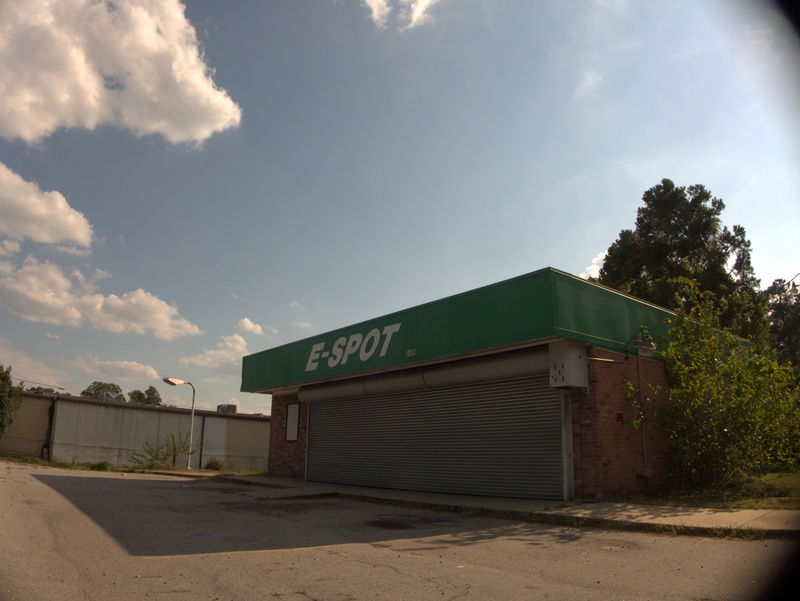 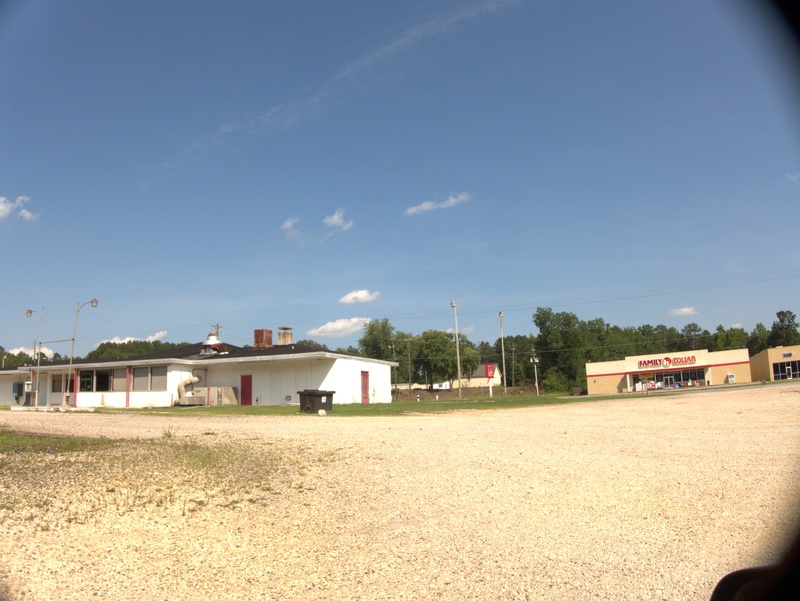 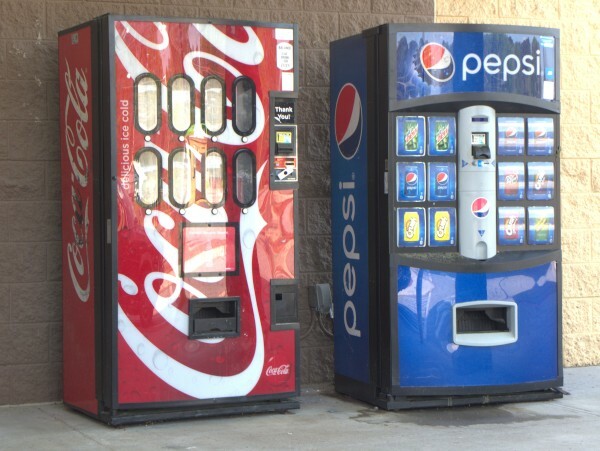 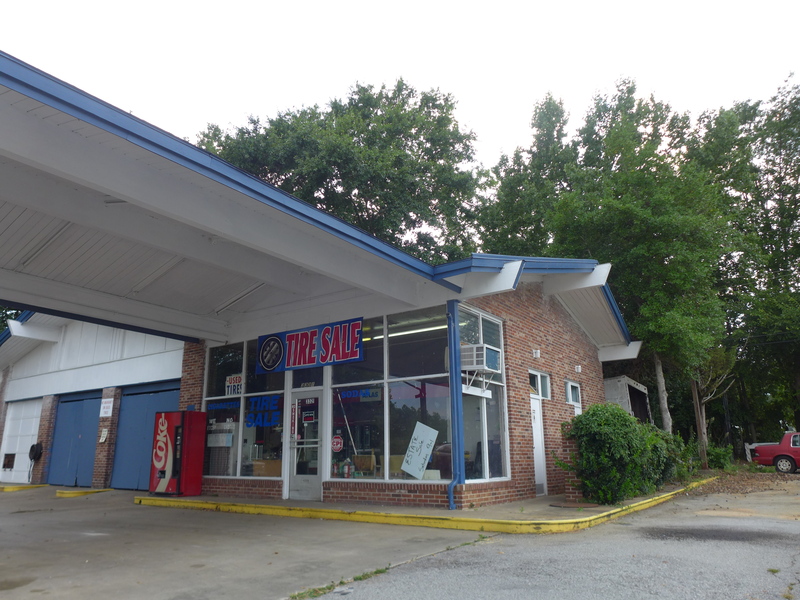 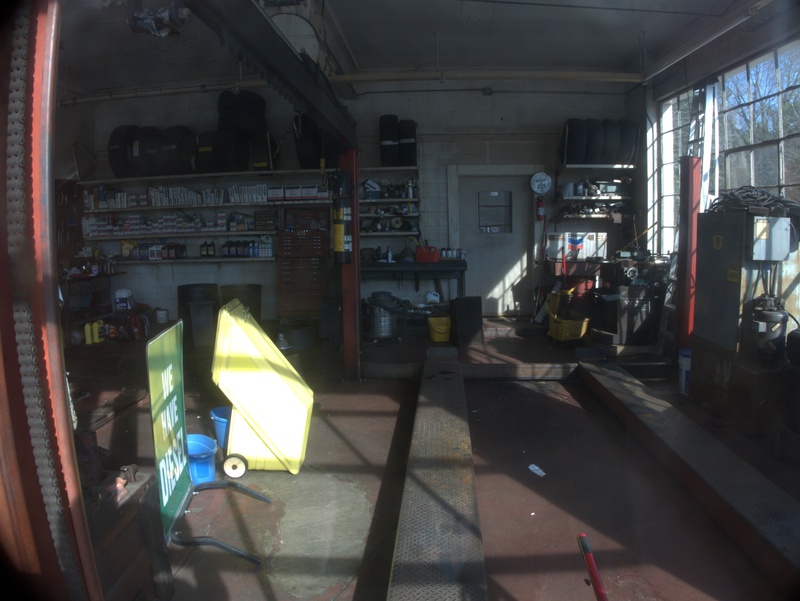 I first did a closing for this site when it had just finished being Nicks Citgo as can be seen in the first picture above. 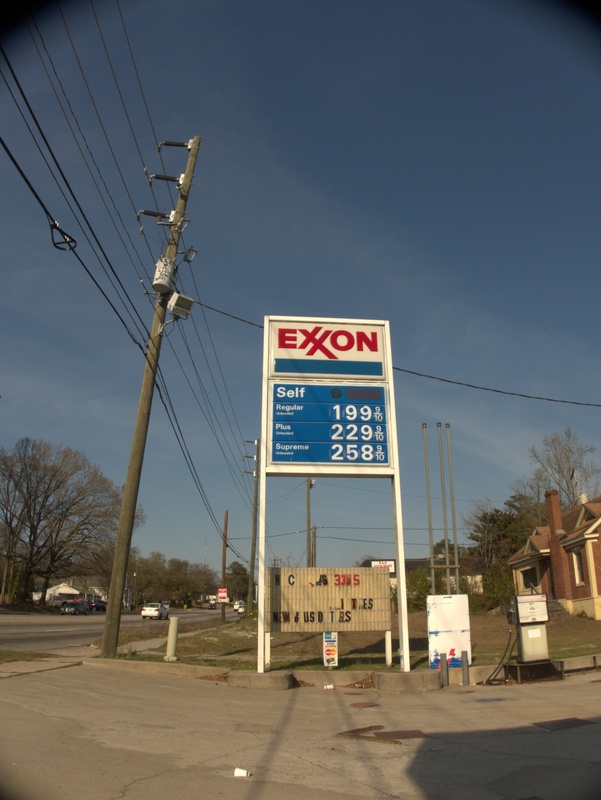 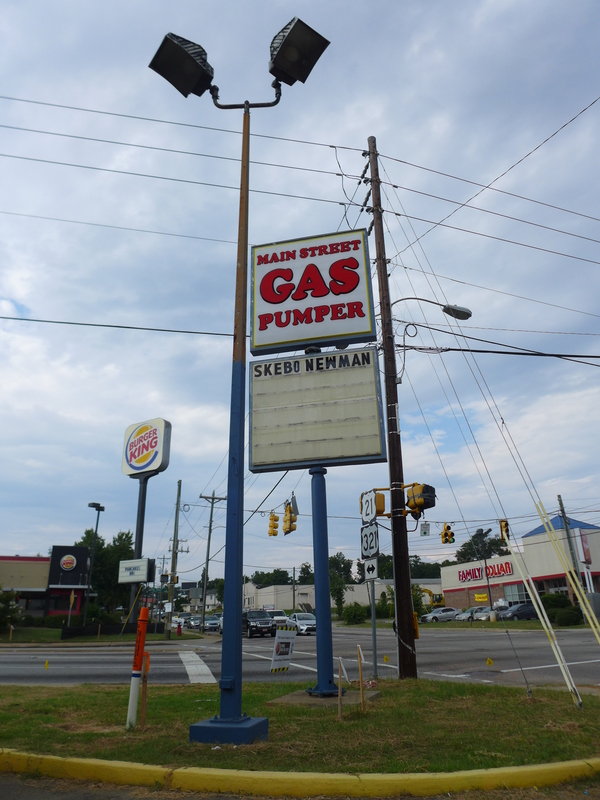 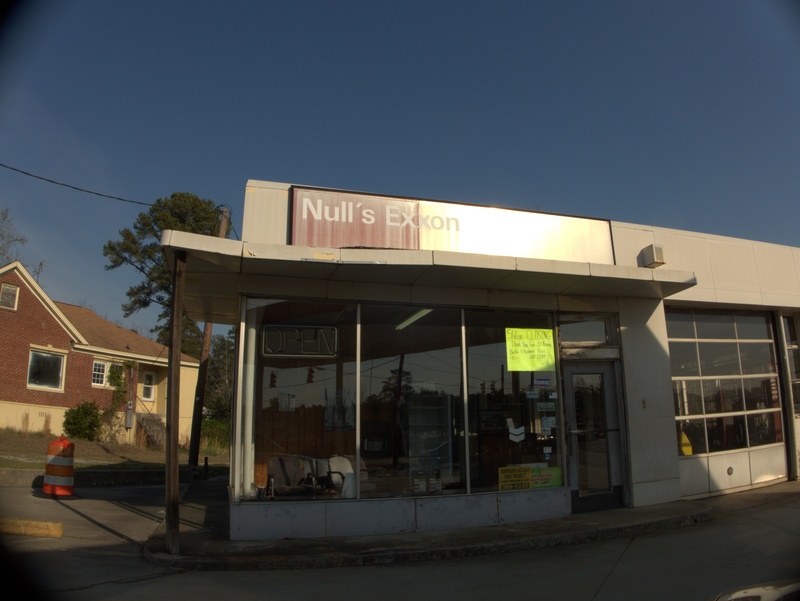 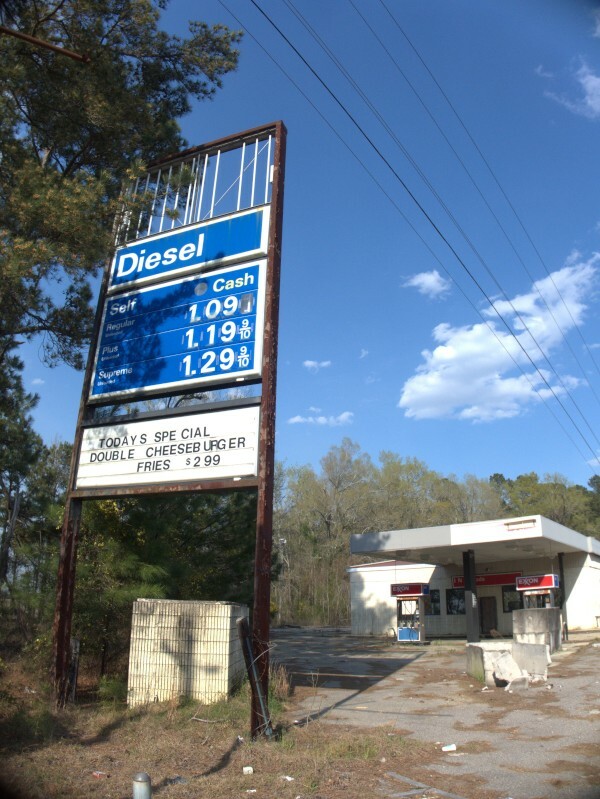 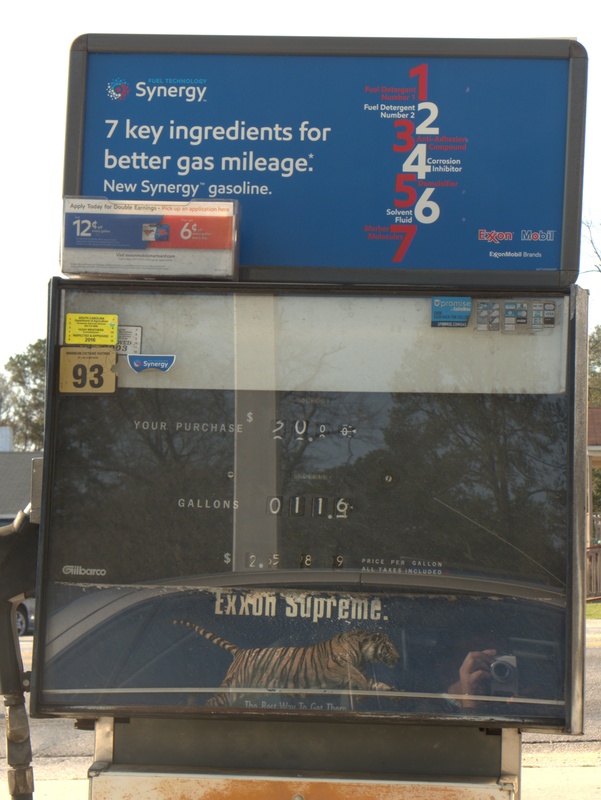 After that, it reopened as an Exxon without a name on the marquee at all, at least at first. 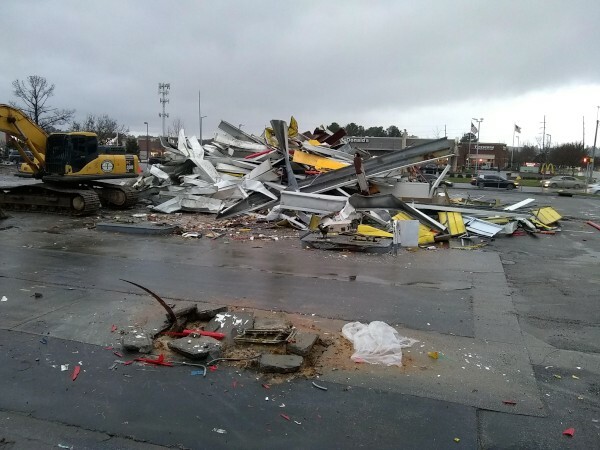 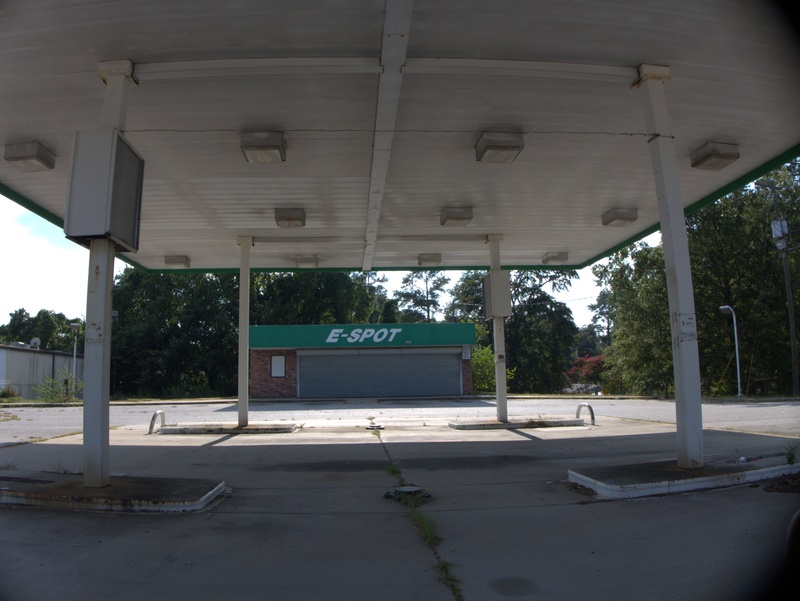 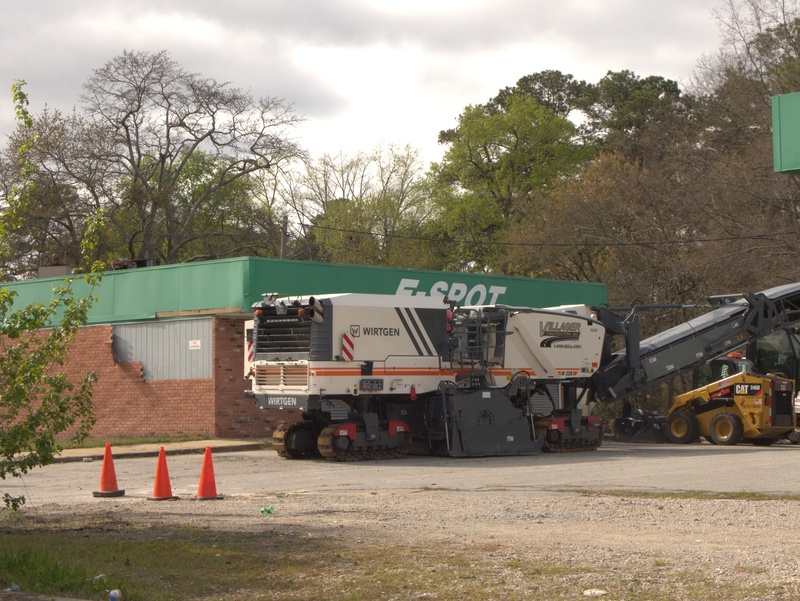 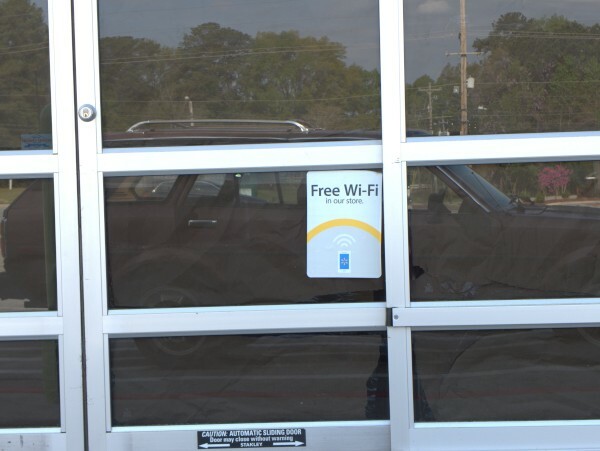 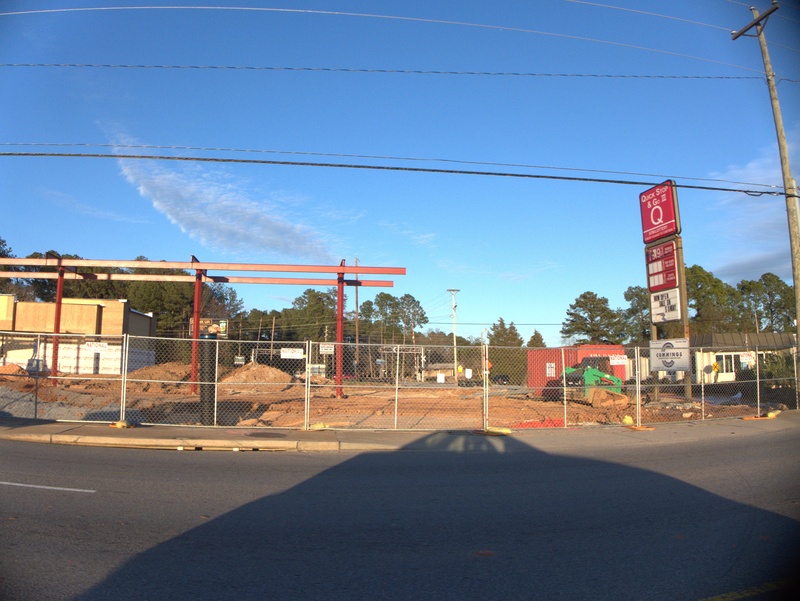 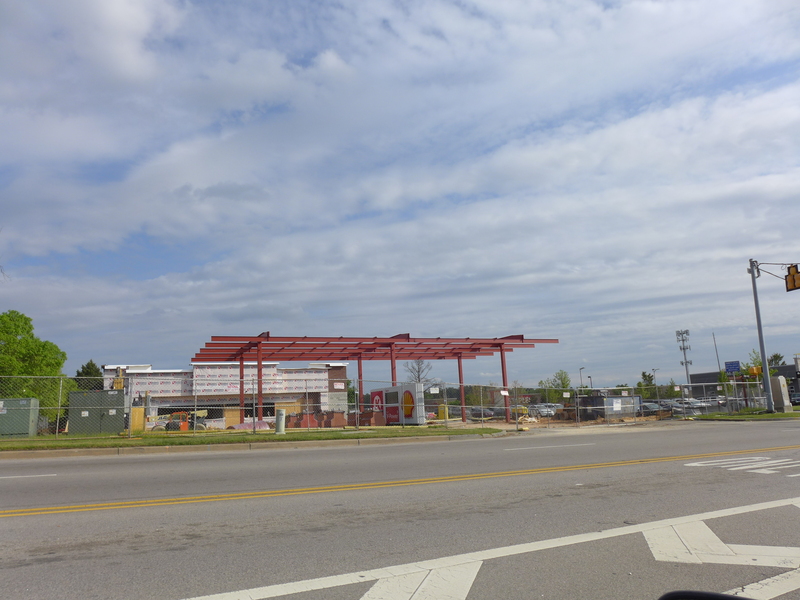 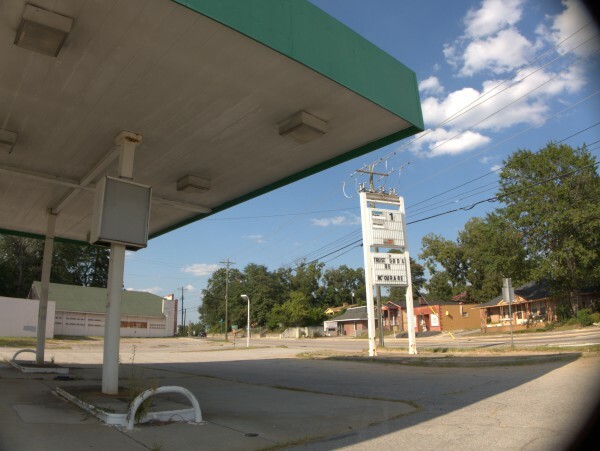 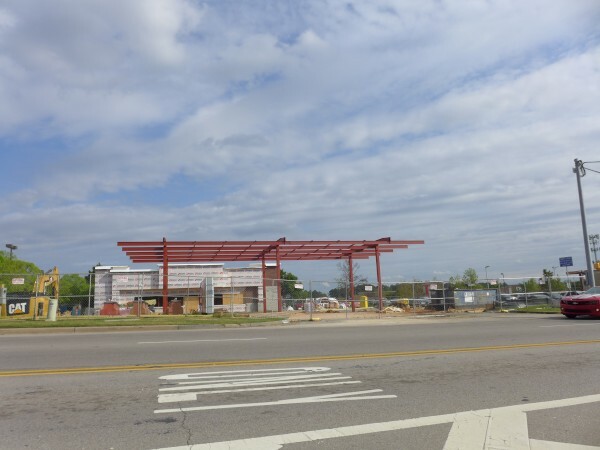 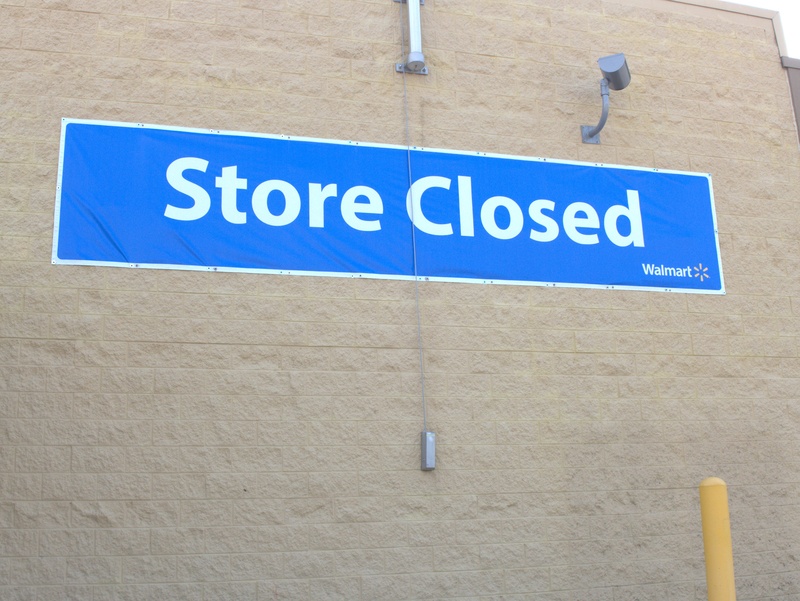 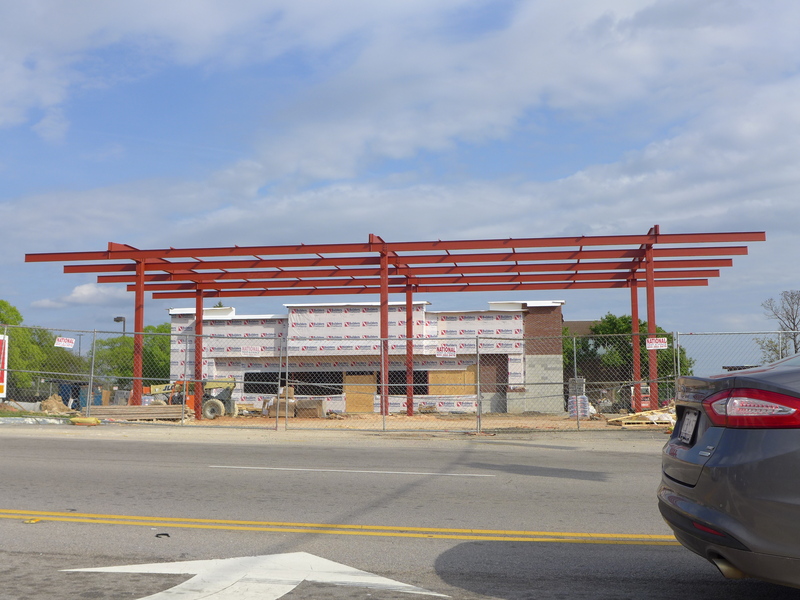 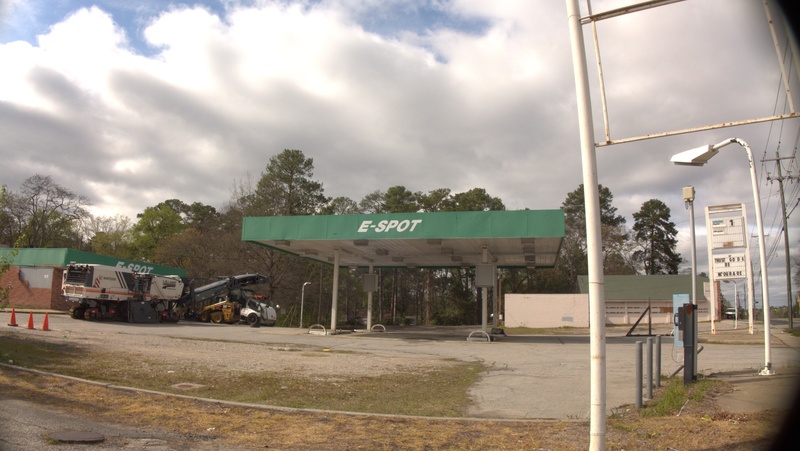 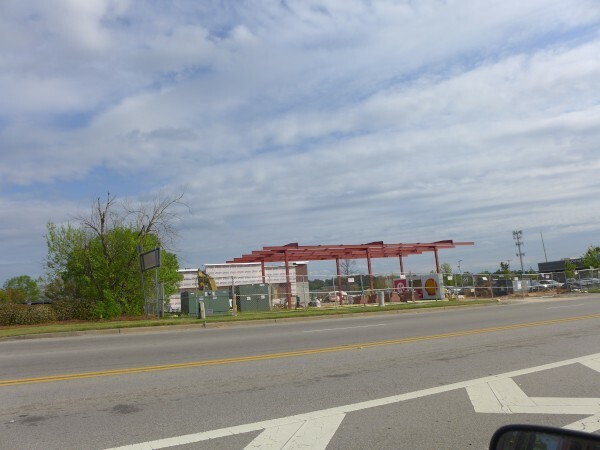 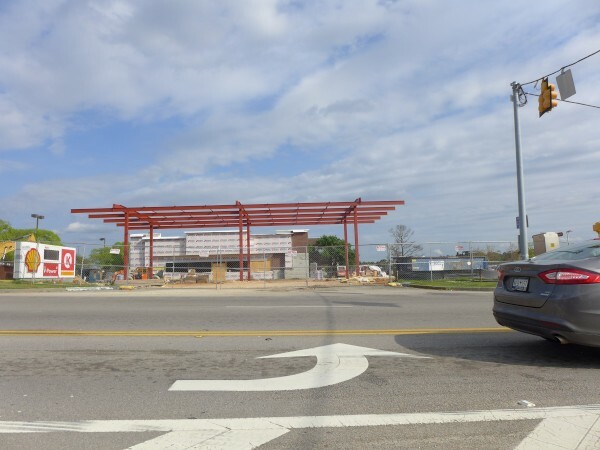 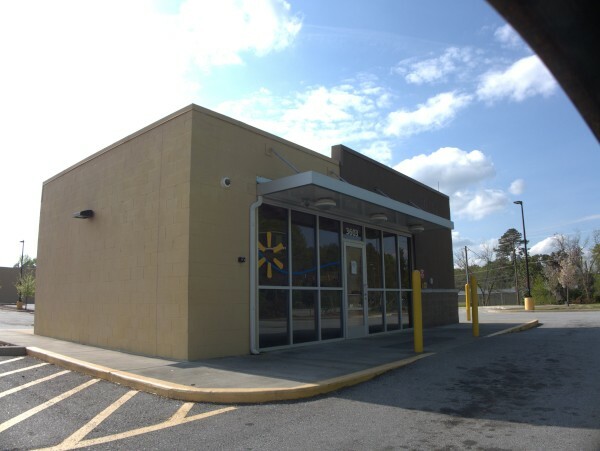 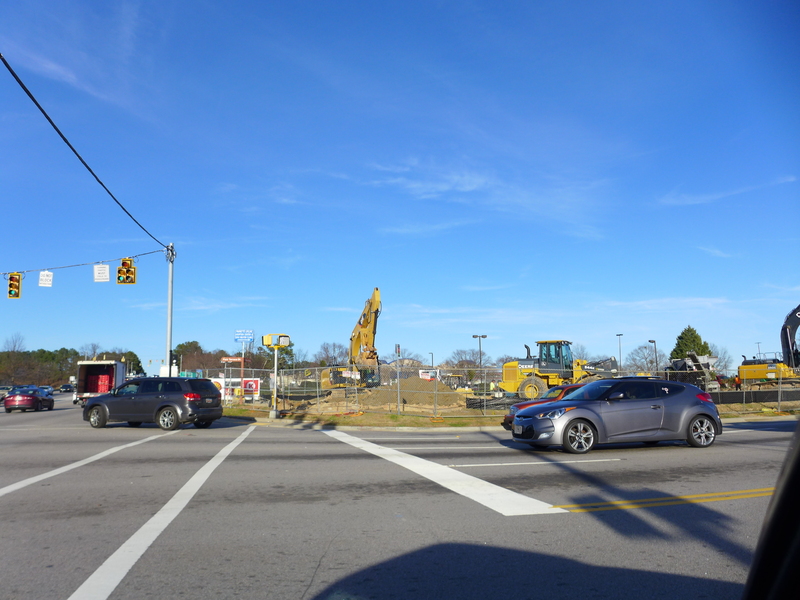 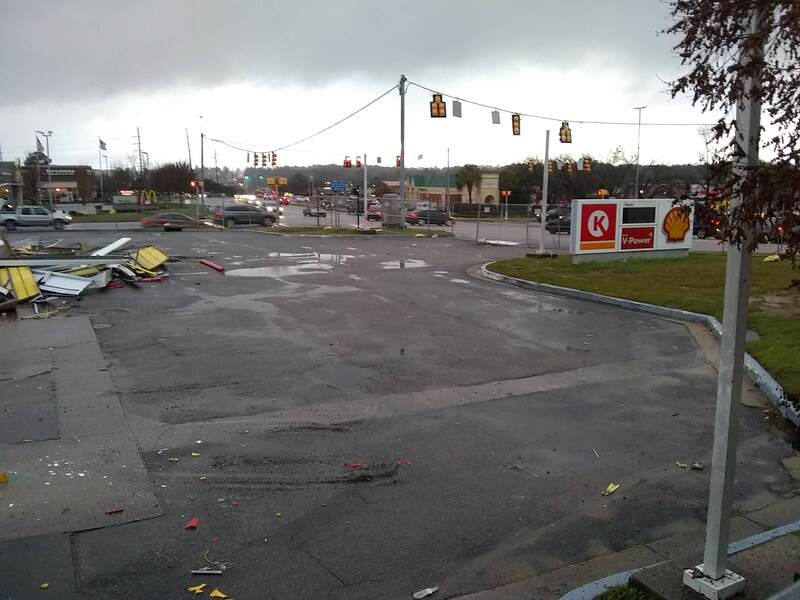 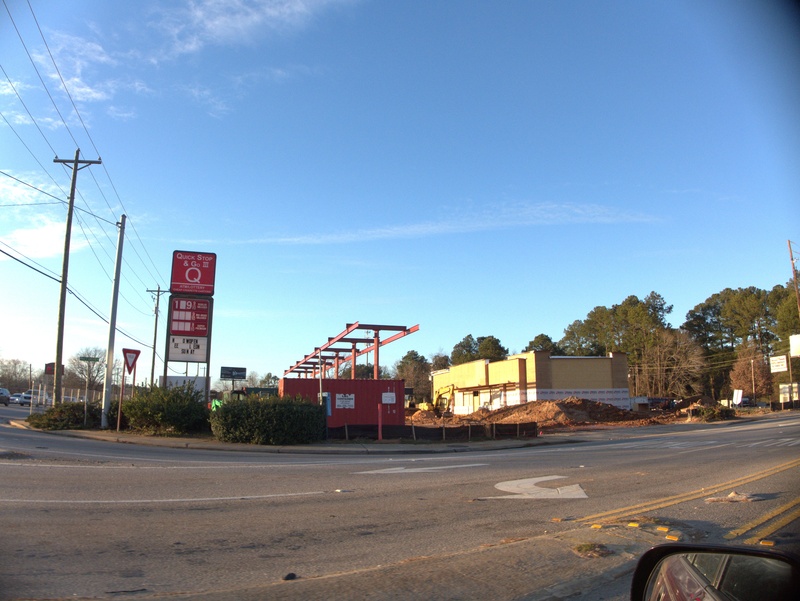 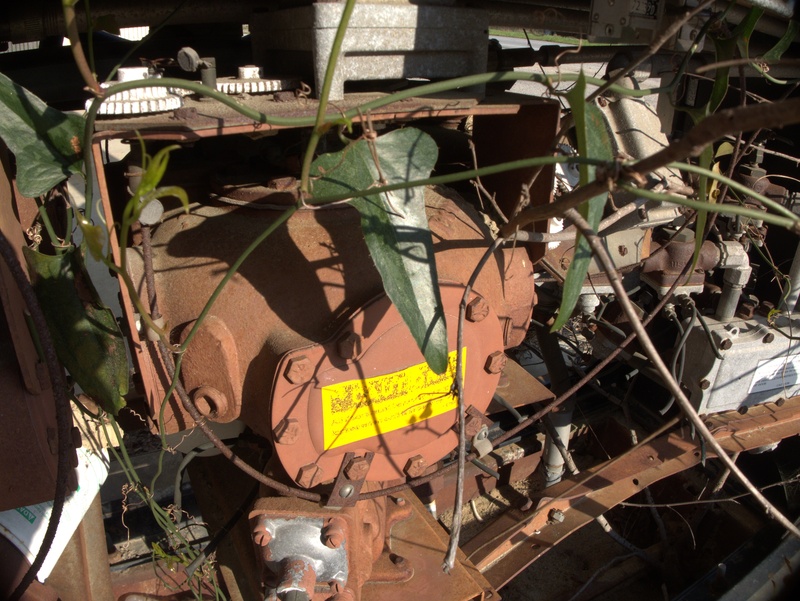 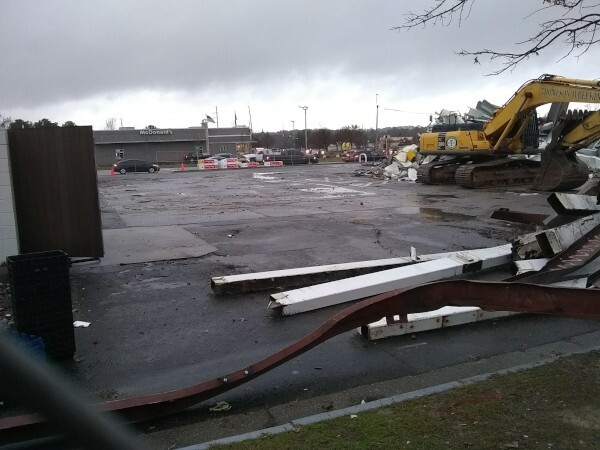 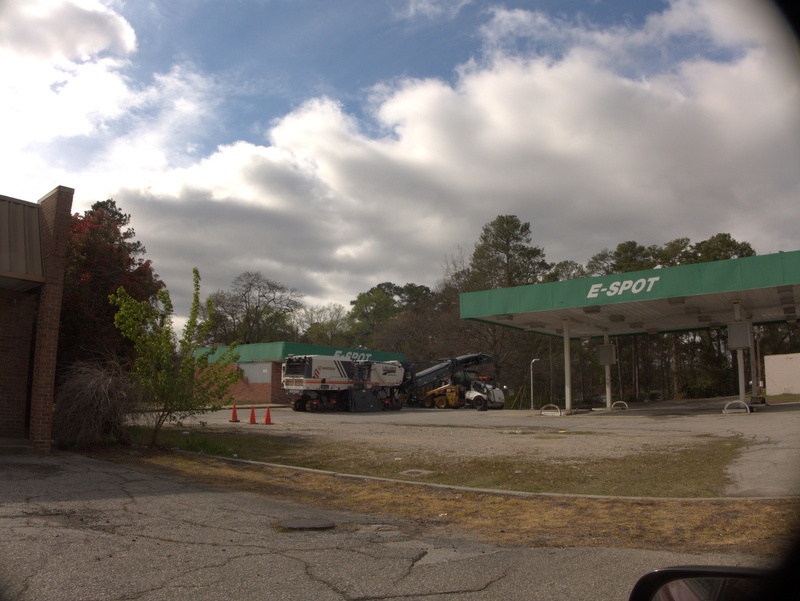 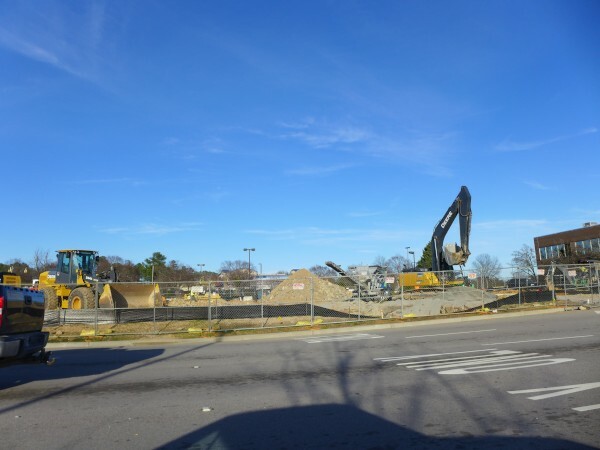 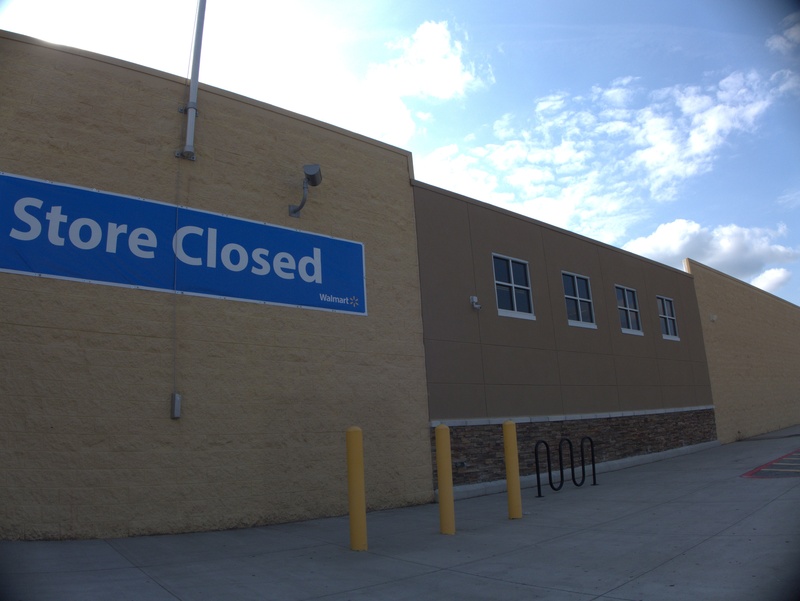 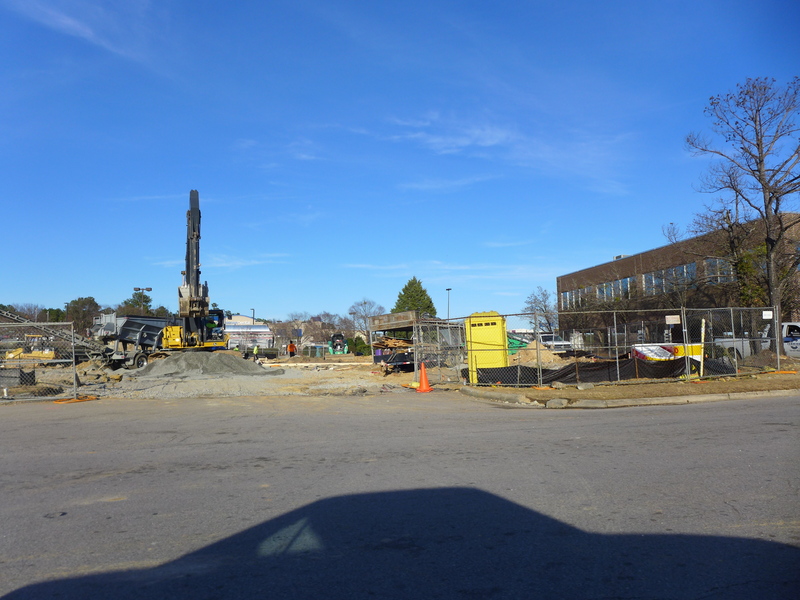 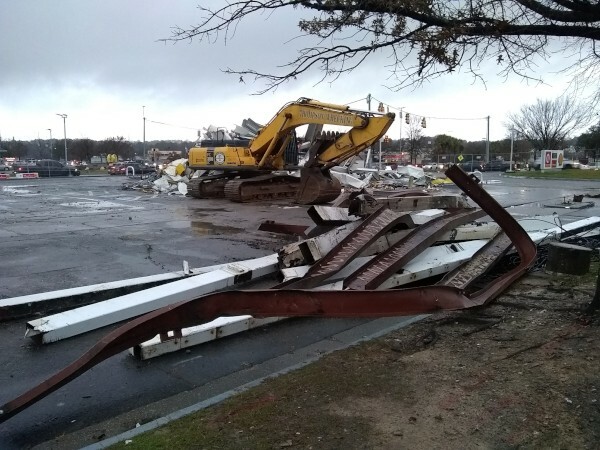 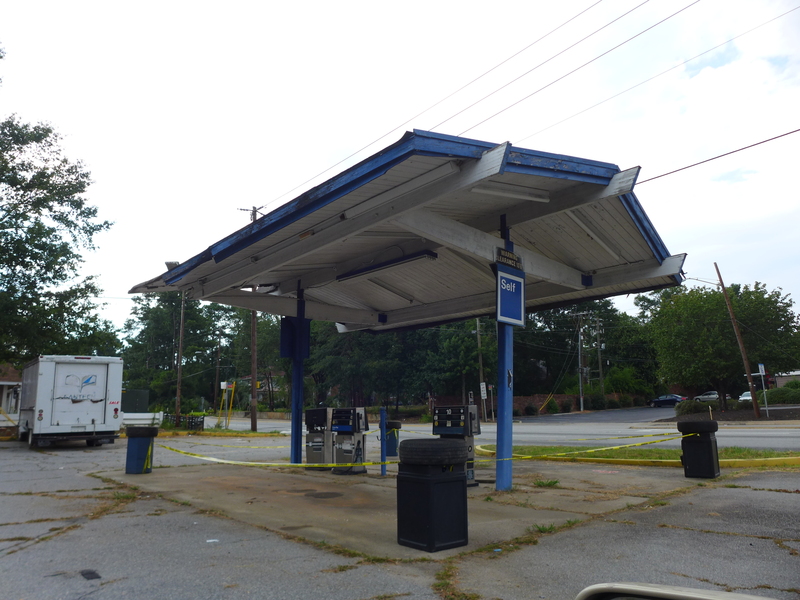 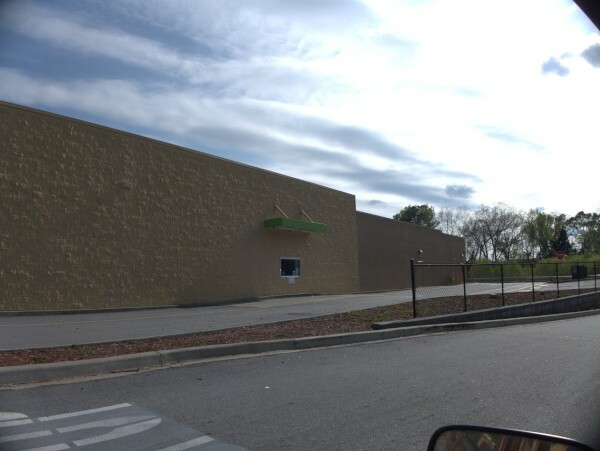 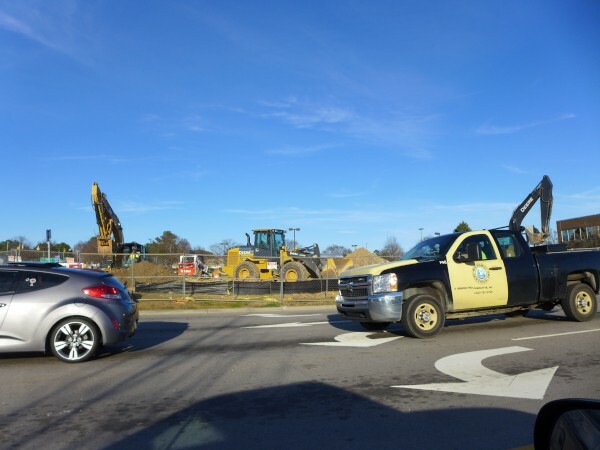 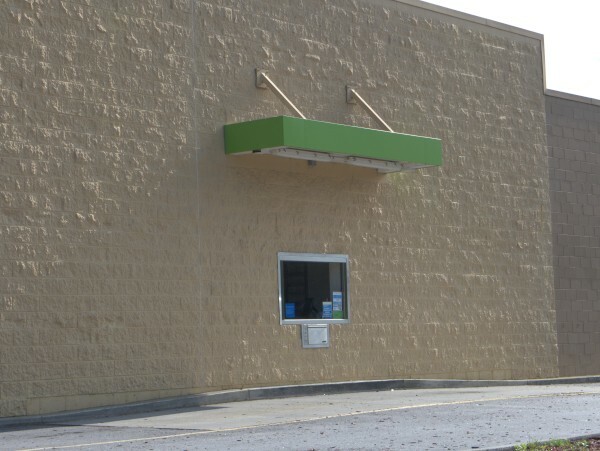 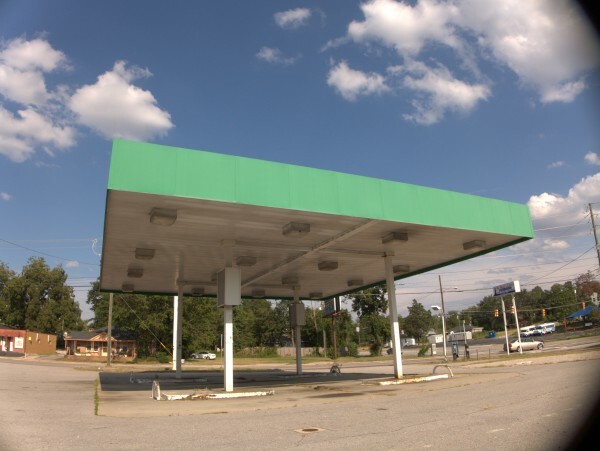 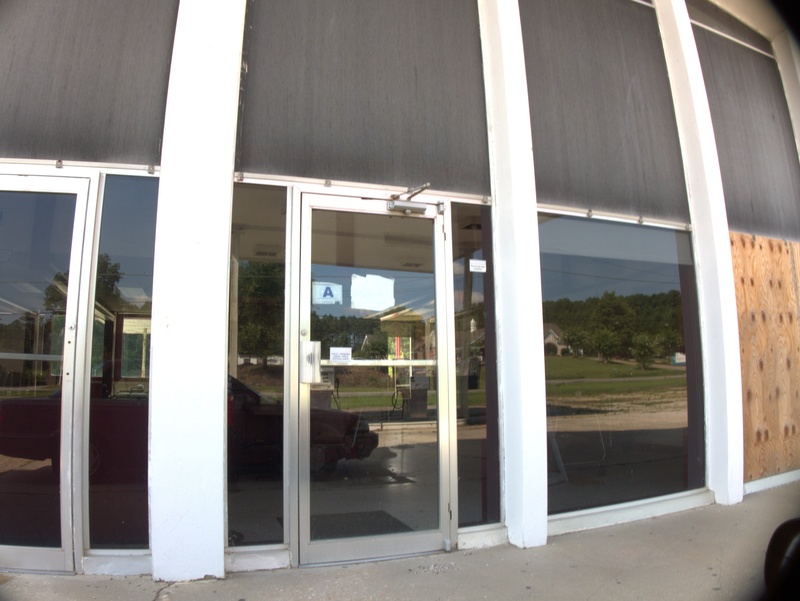 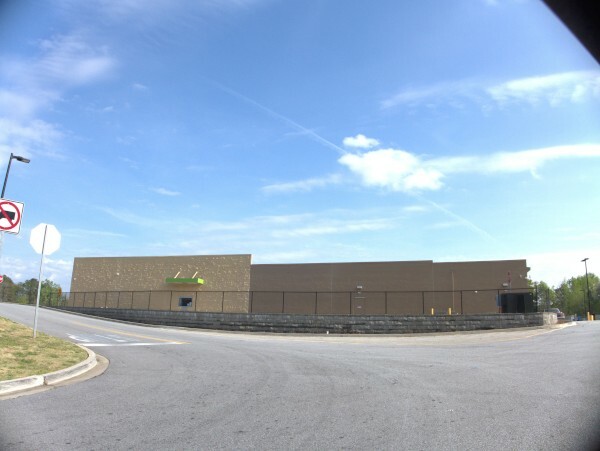 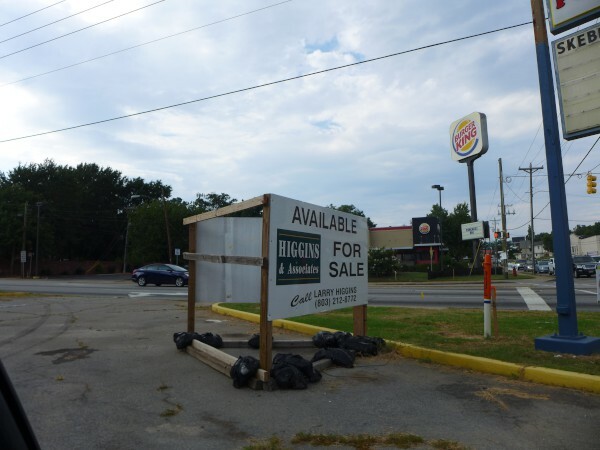 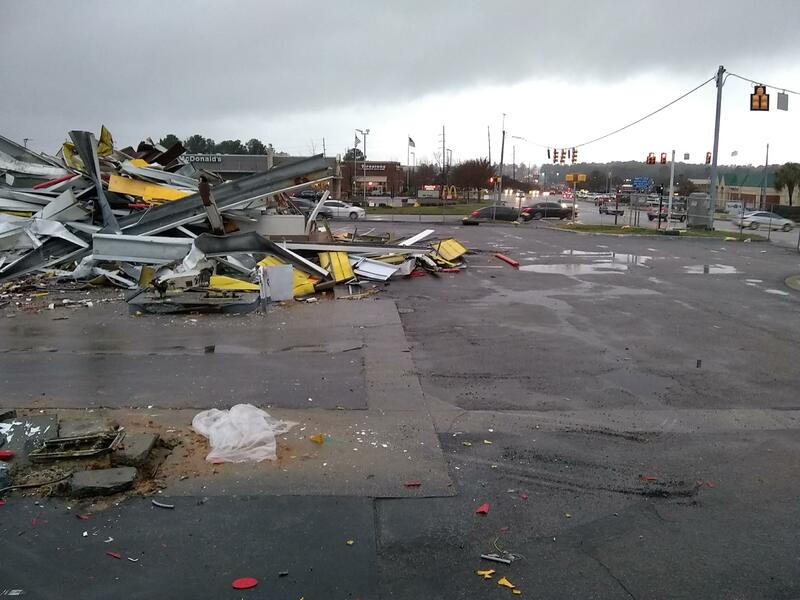 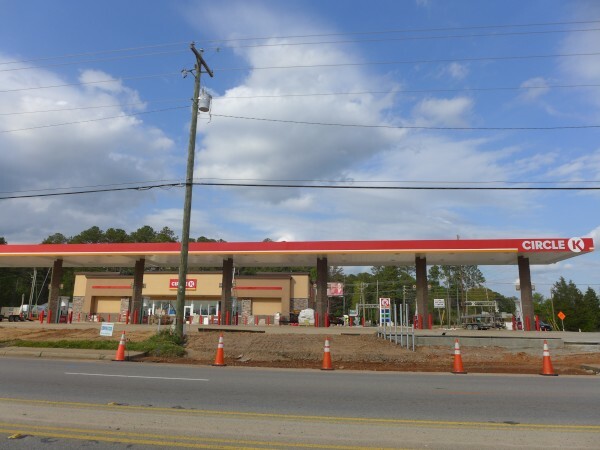 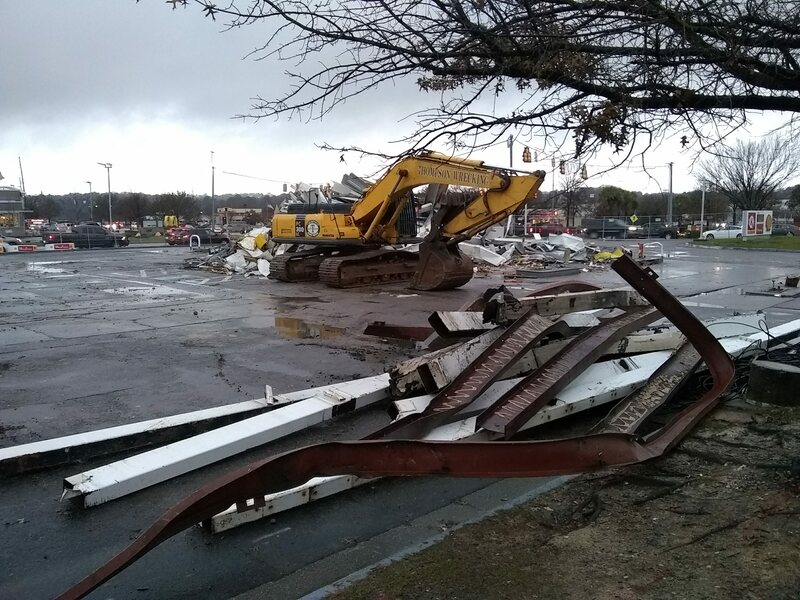 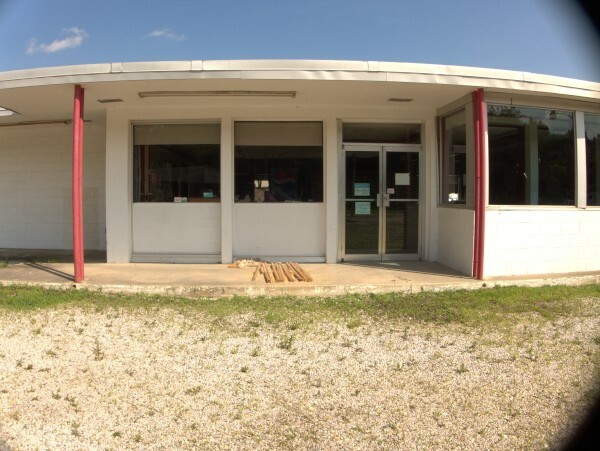 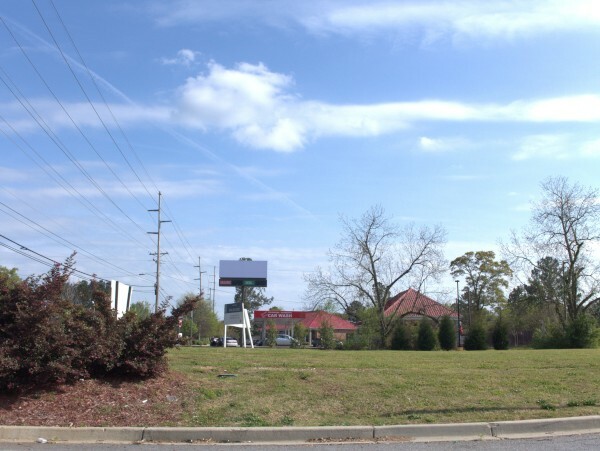 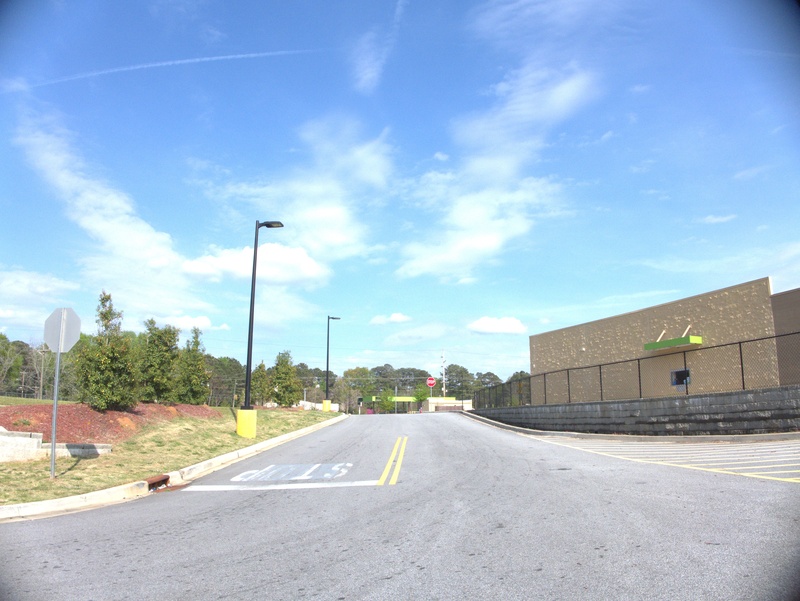 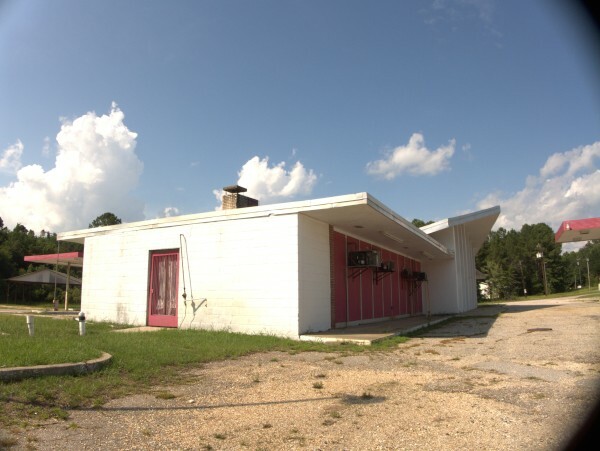 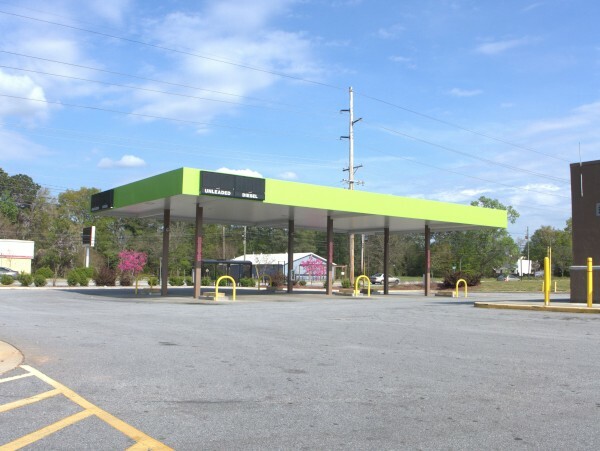 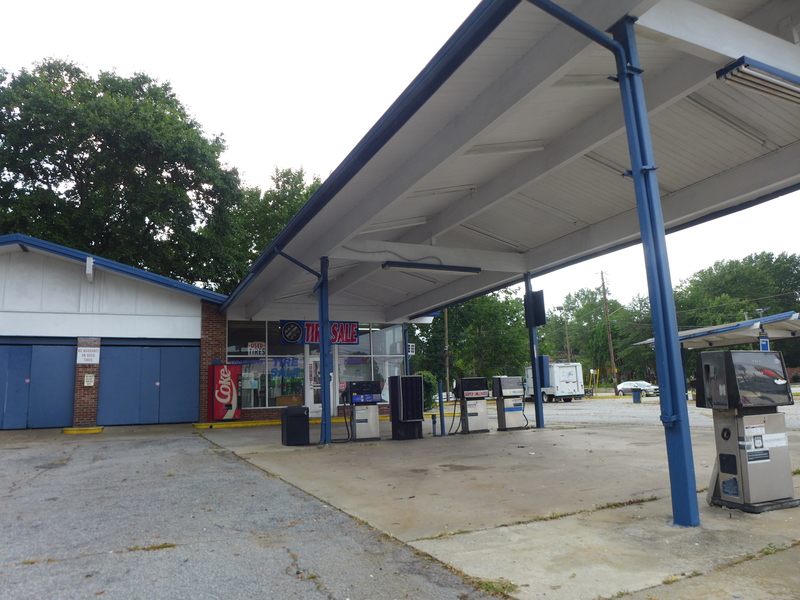 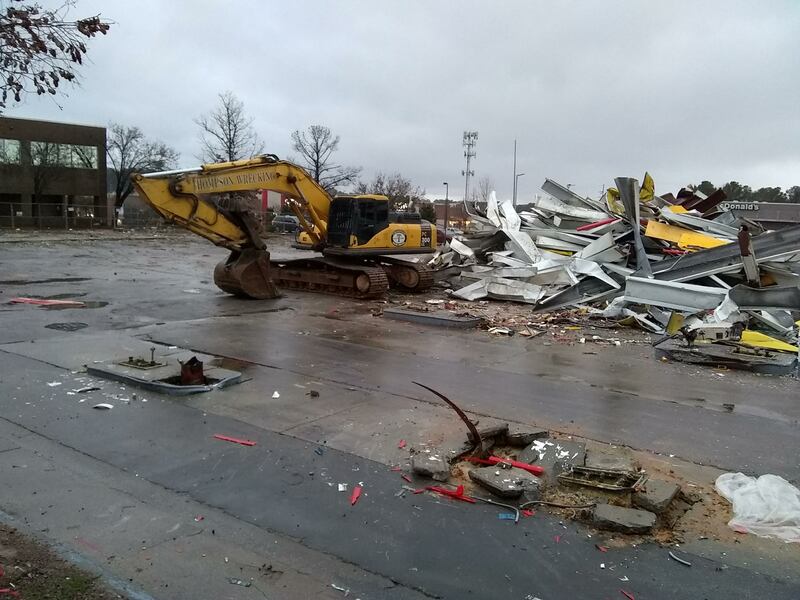 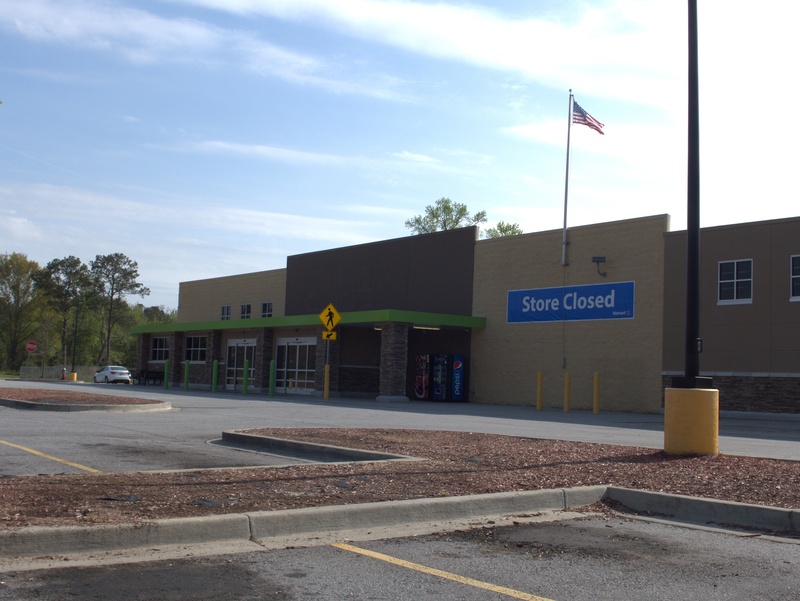 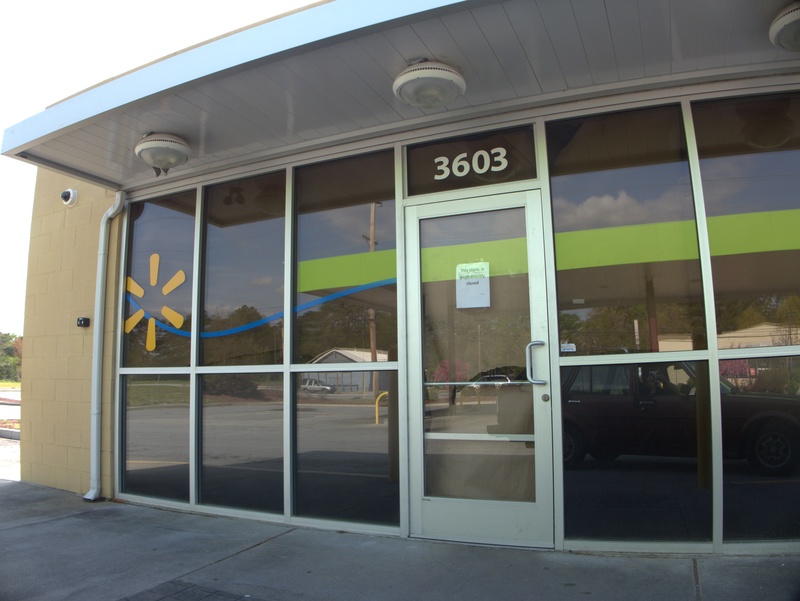 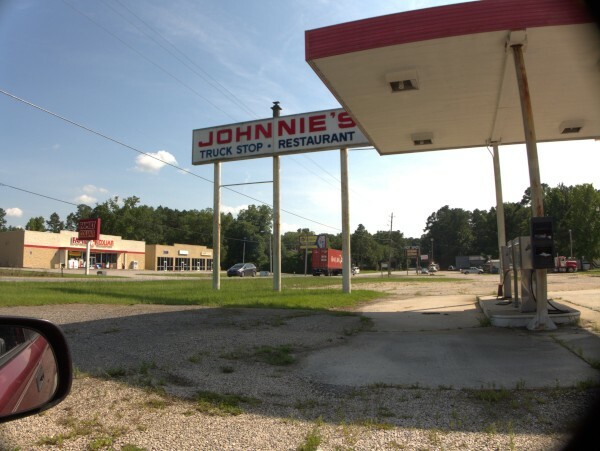 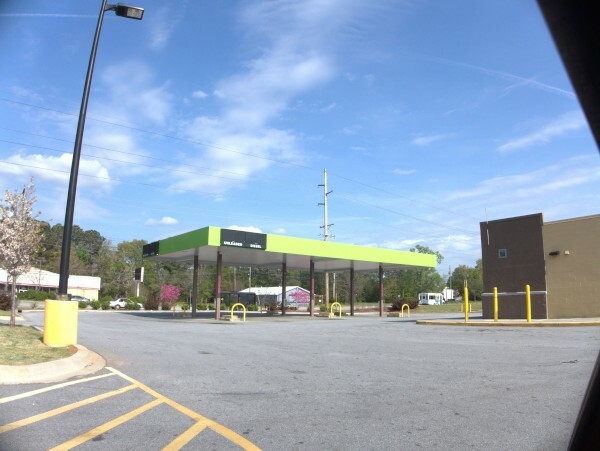 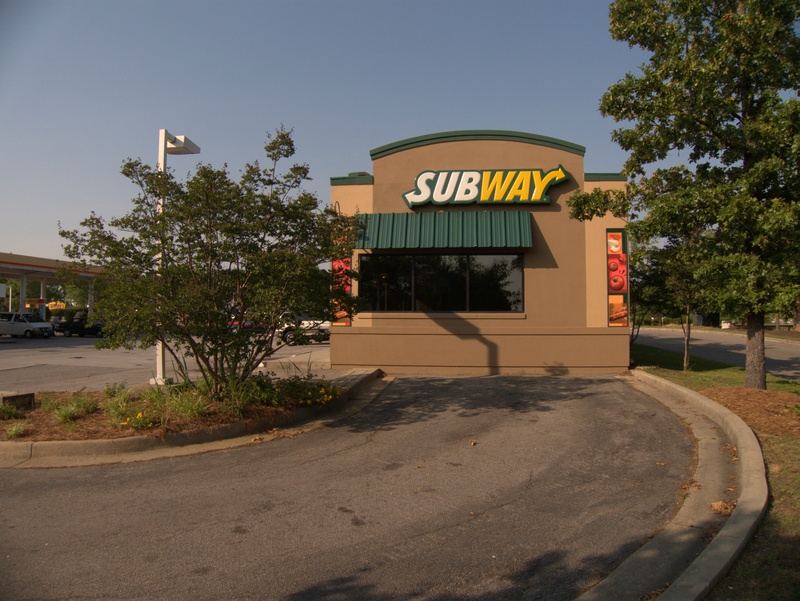 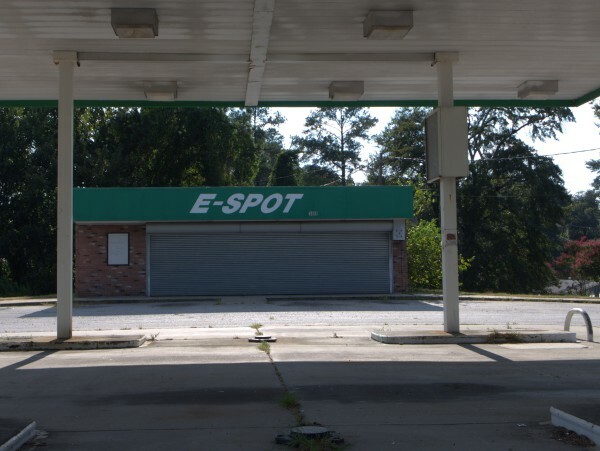 At any rate, by the time it was torn down in November 2018, it was Quick Stop & Go III. 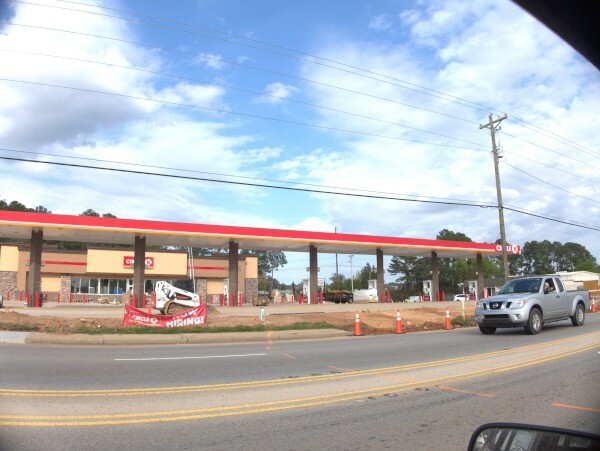 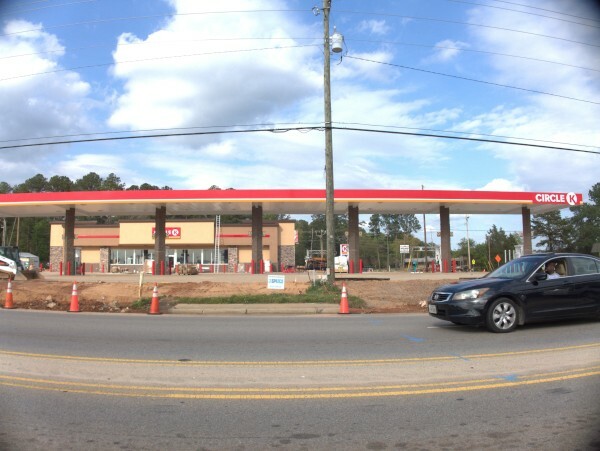 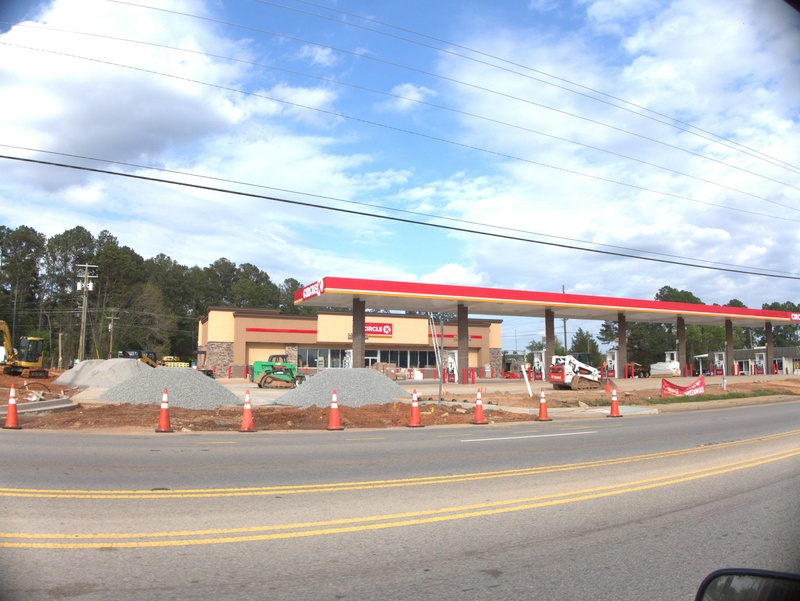 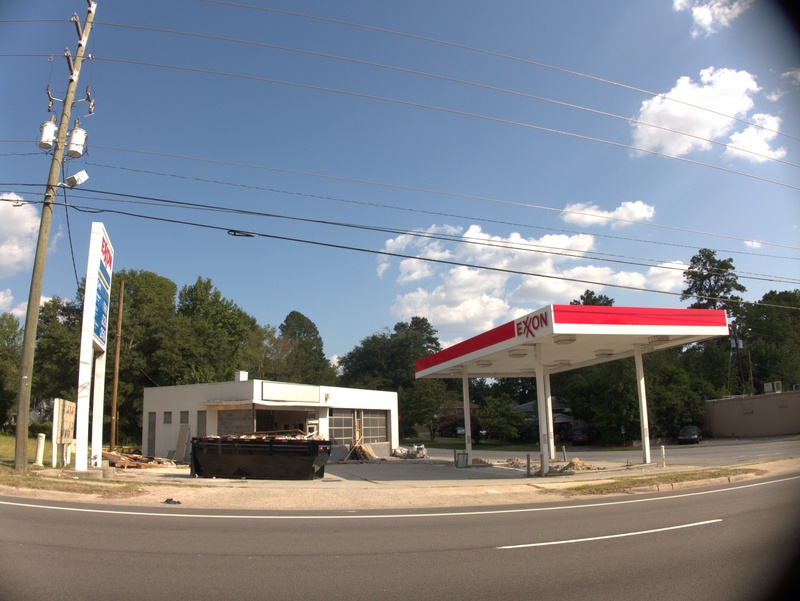 Now the building has been completely razed (along, I believe, with the adjacent Seven Oaks Auto Repair & Tires) and is apparently being rebuilt as a Circle K.
I noticed the other weekend that this Broad River Road gas and convenience store, which was a Circle K when I originally did a closing on it, has now reflagged again, dropping the El Cheapo branding for CK Mart. 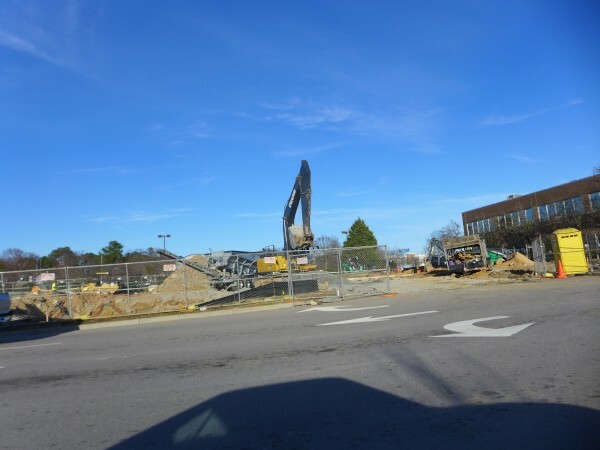 It does not appear that they did any digging or construction this time. 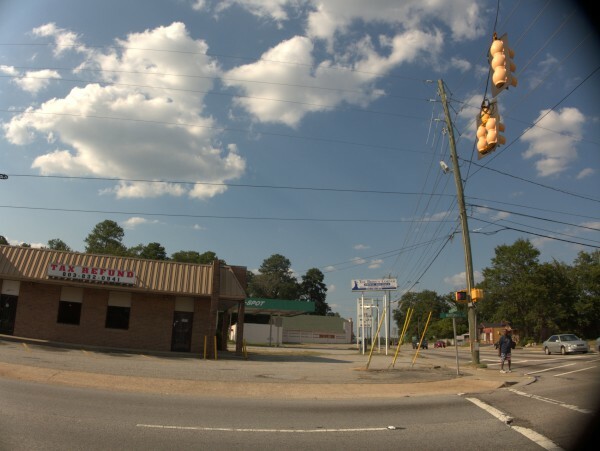 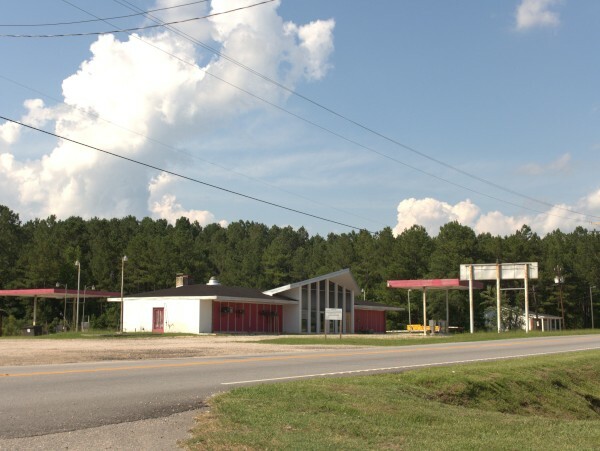 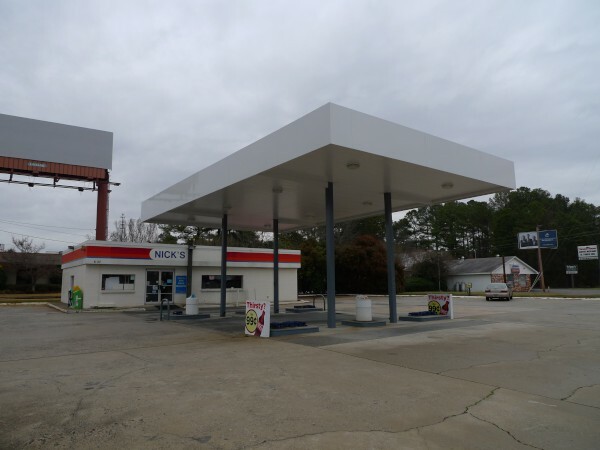 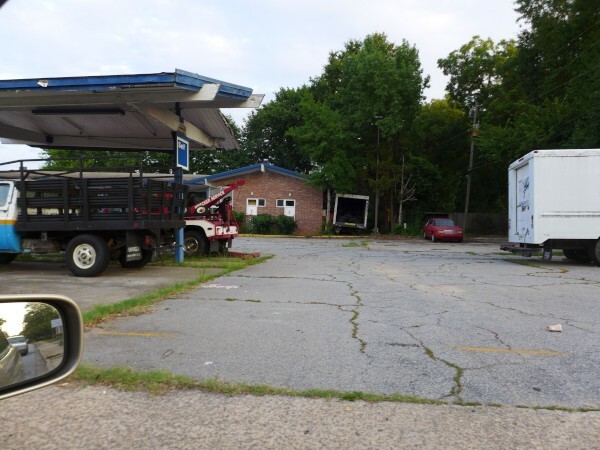 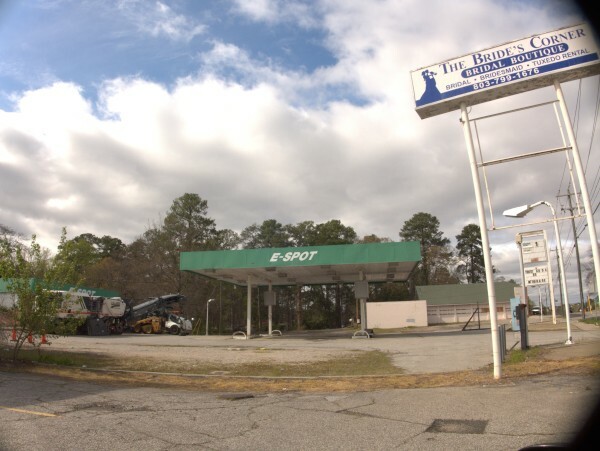 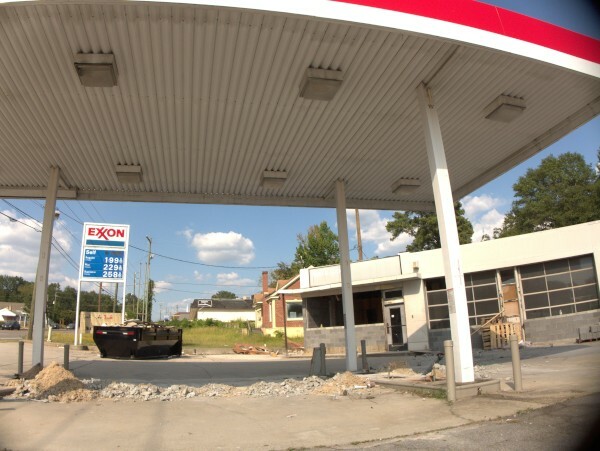 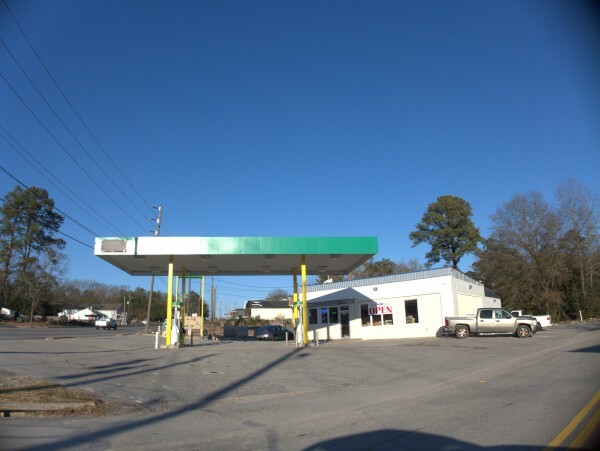 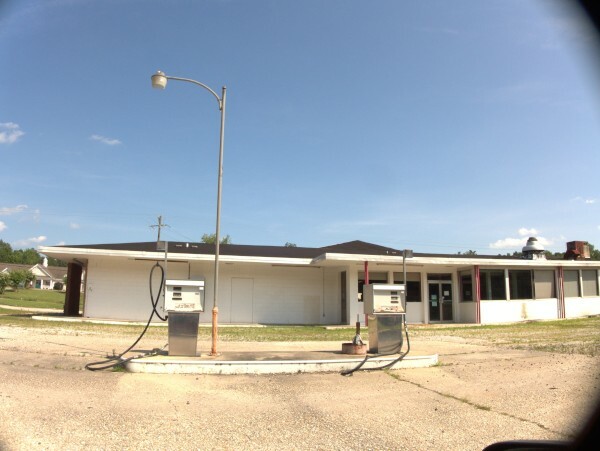 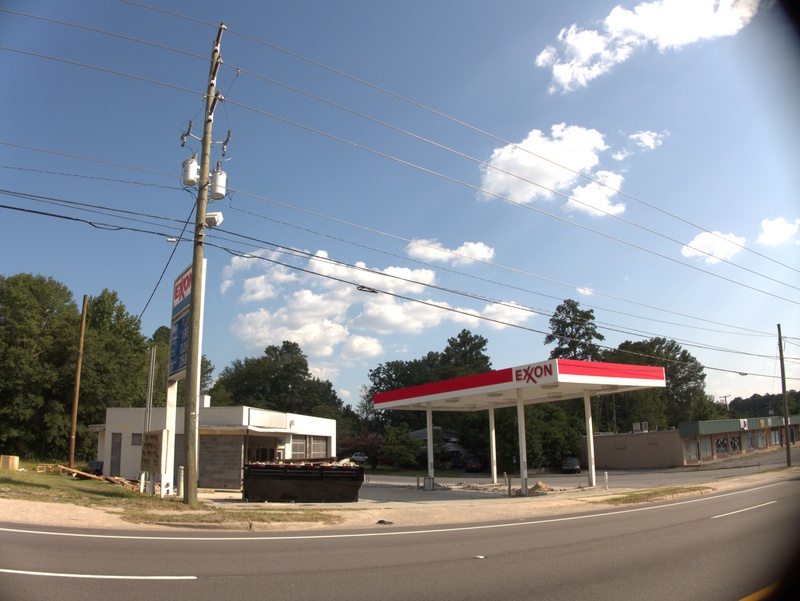 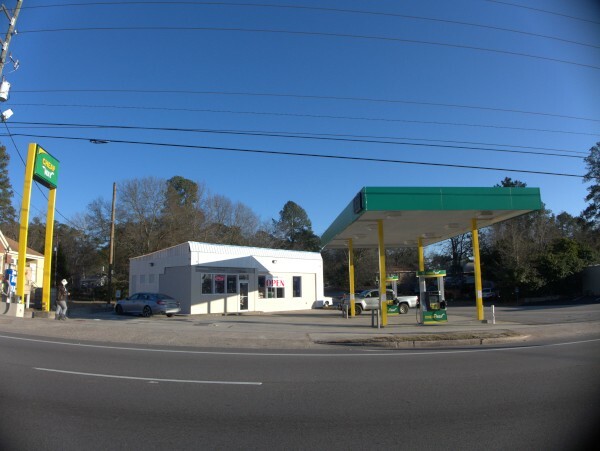 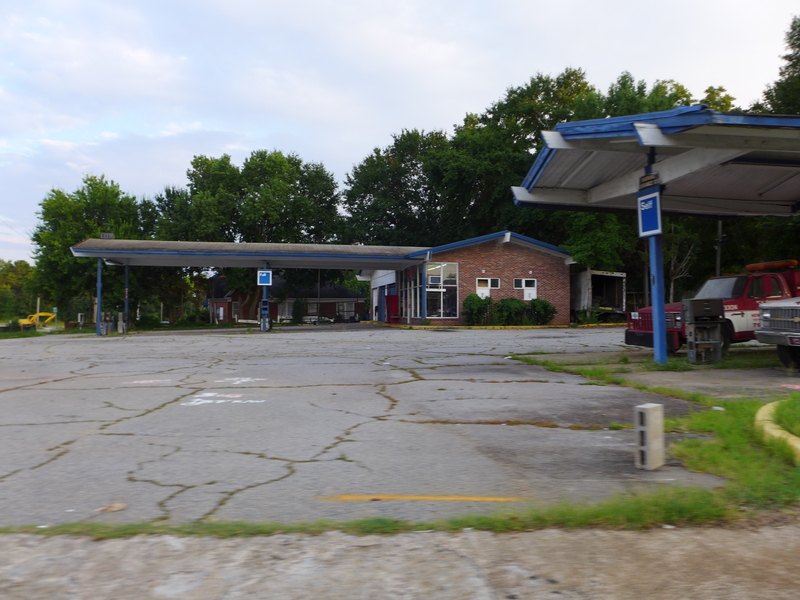 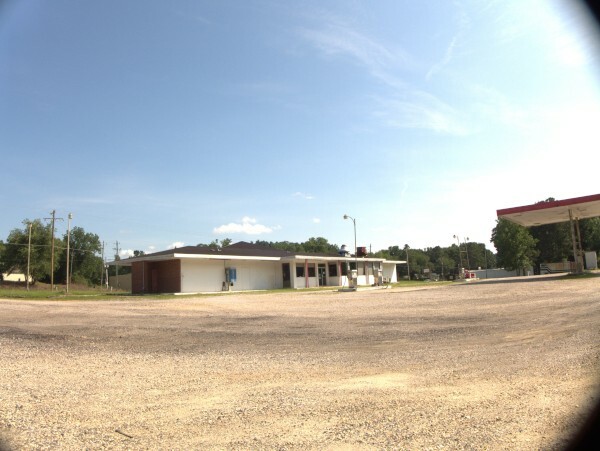 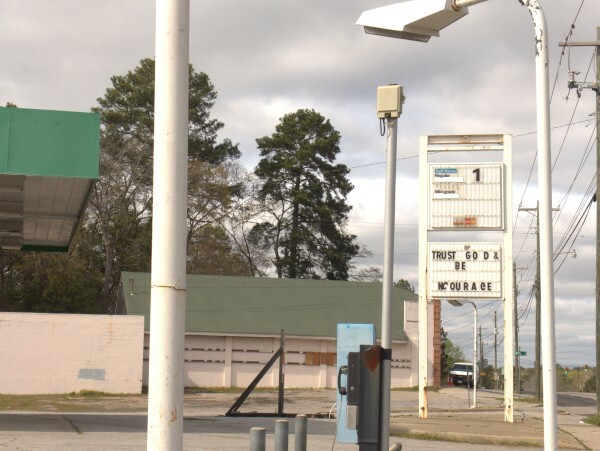 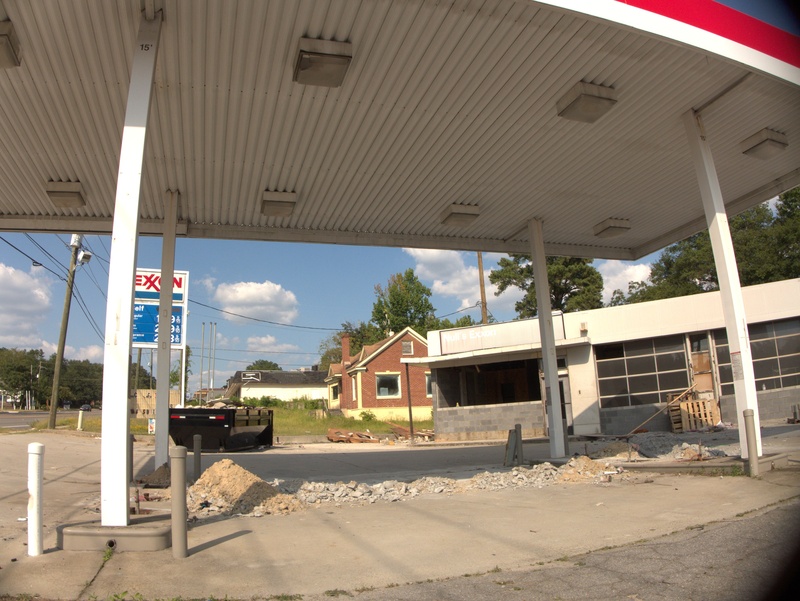 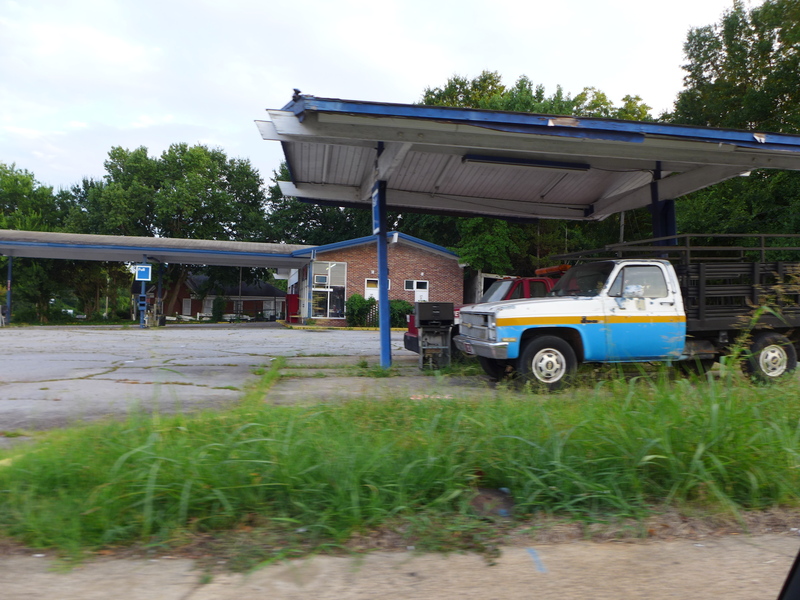 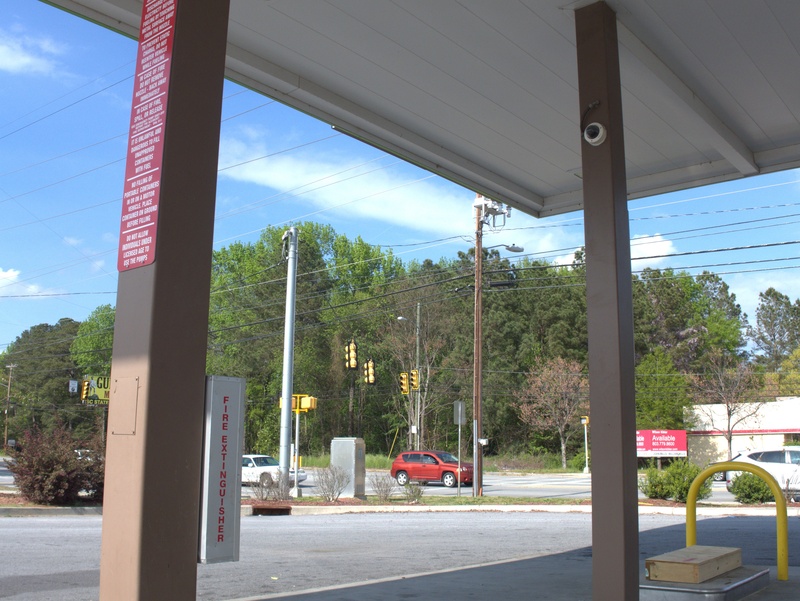 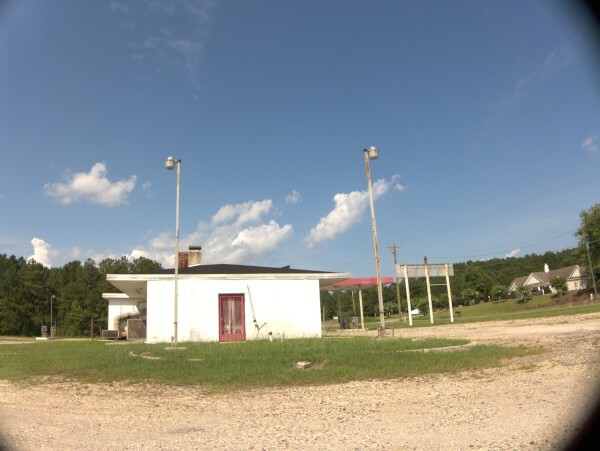 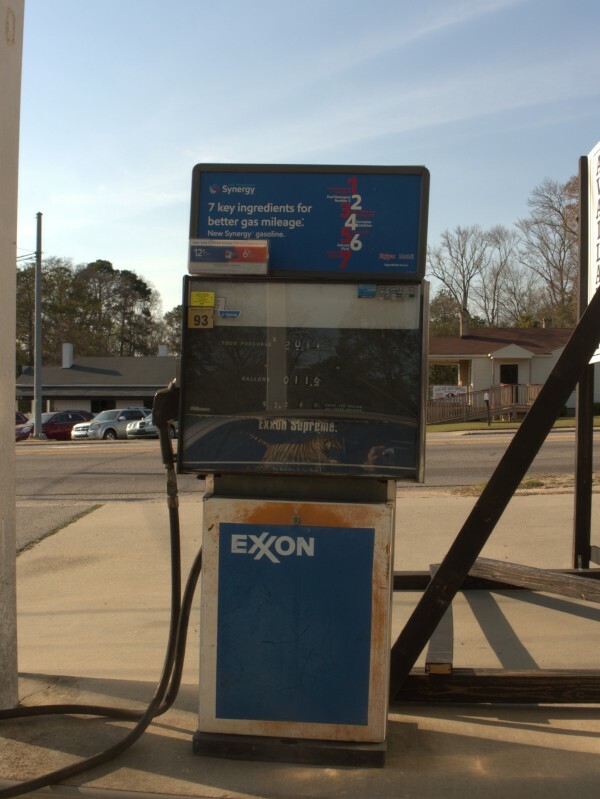 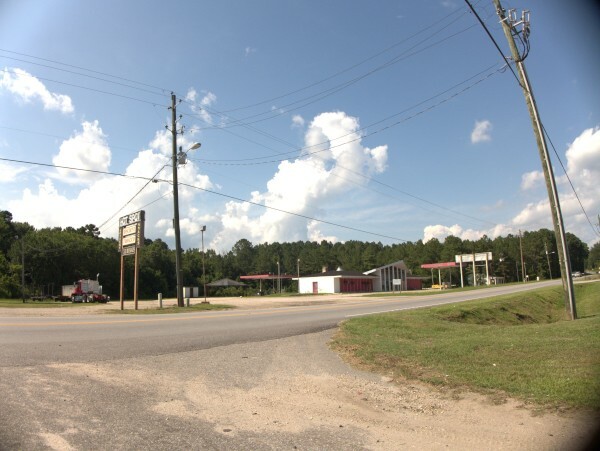 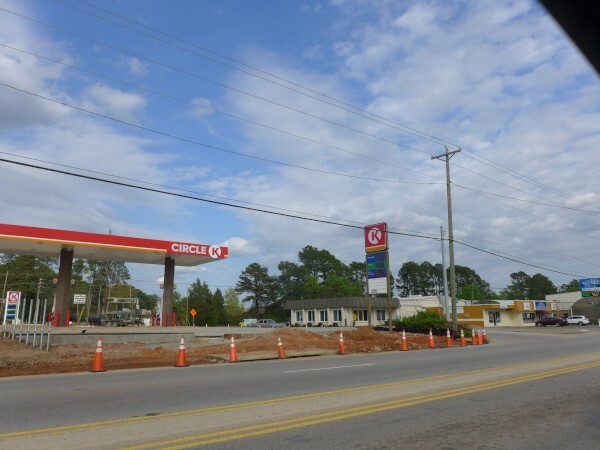 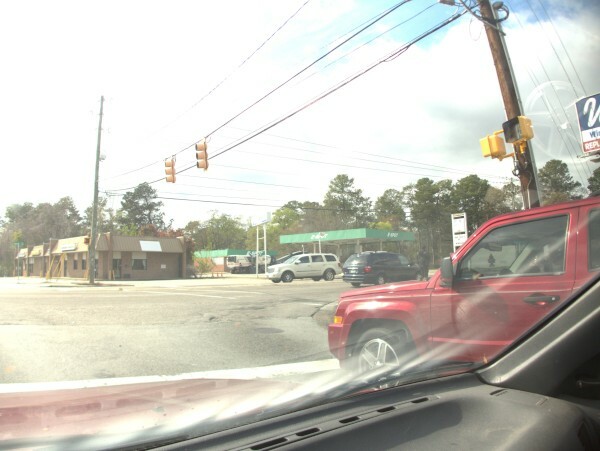 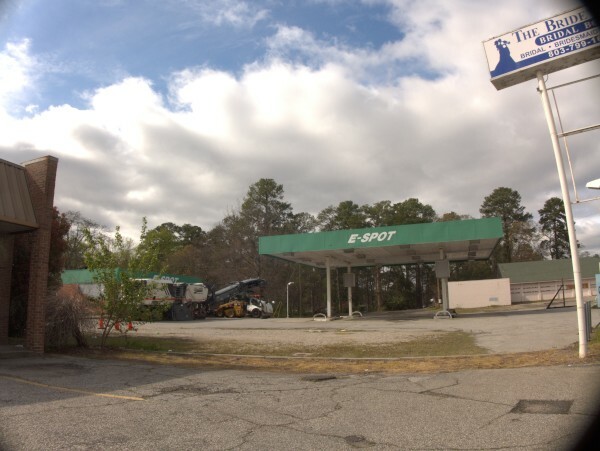 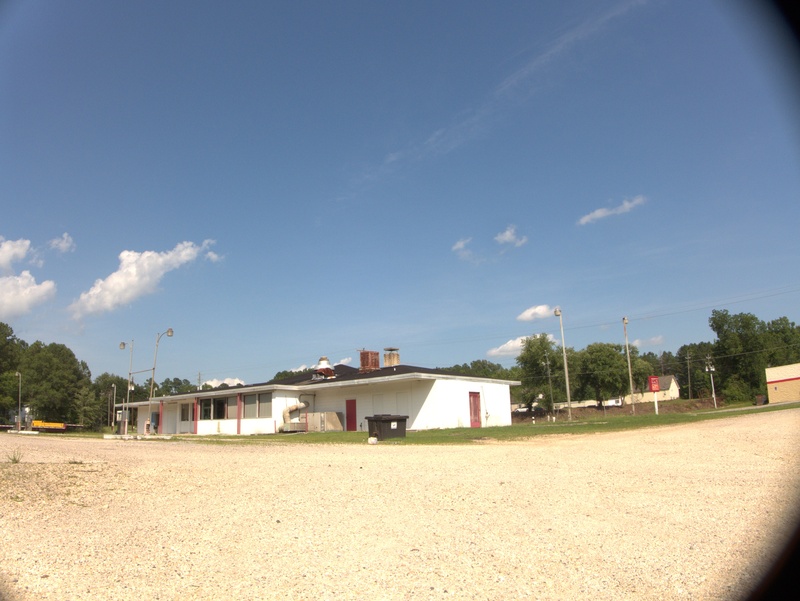 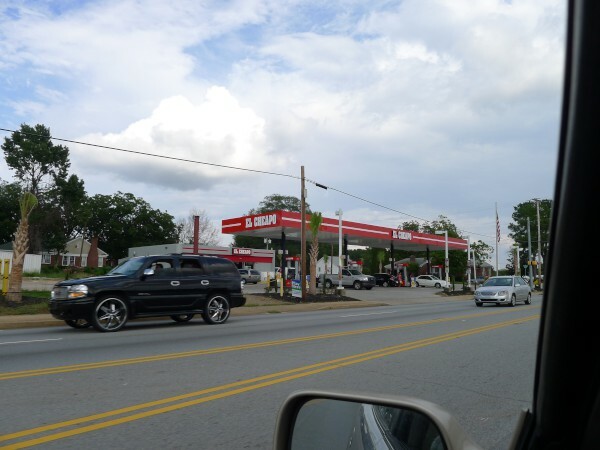 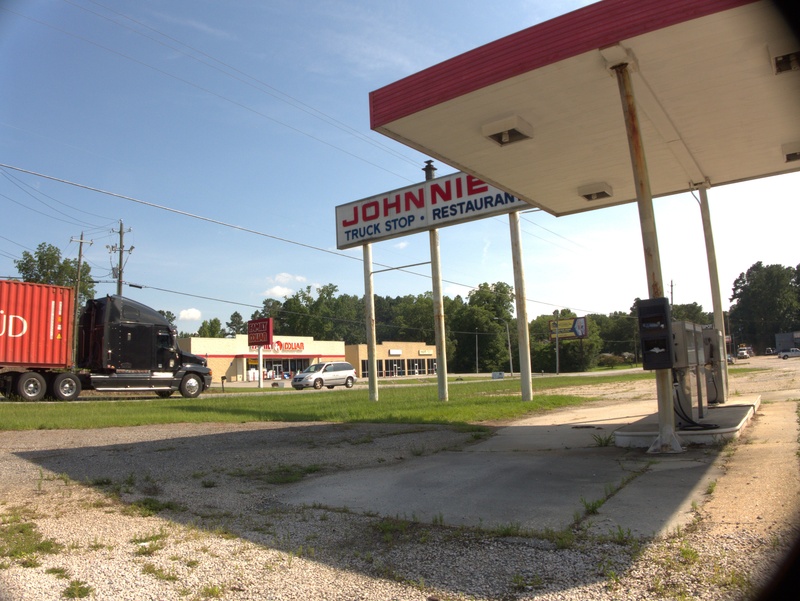 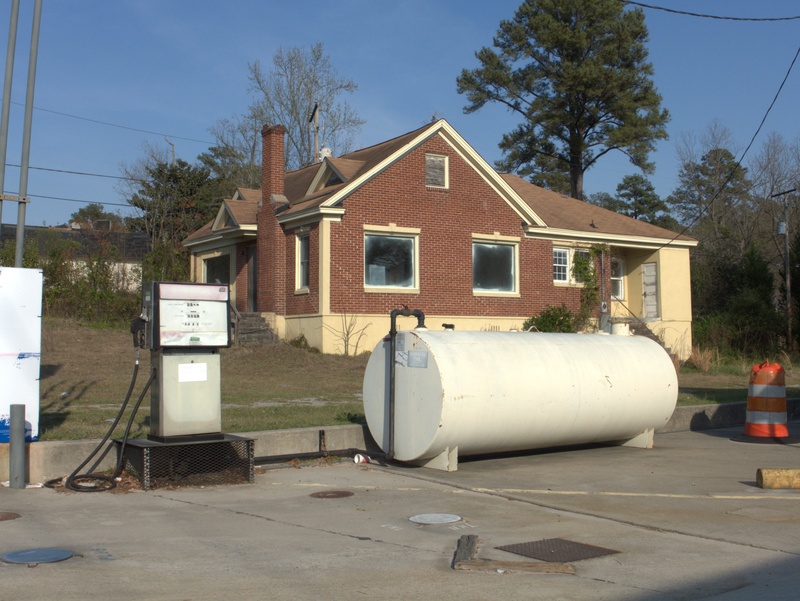 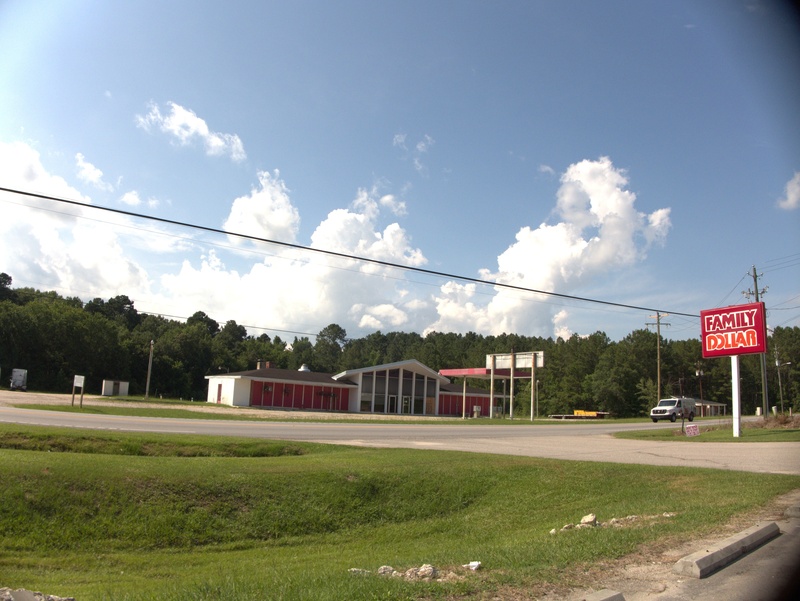 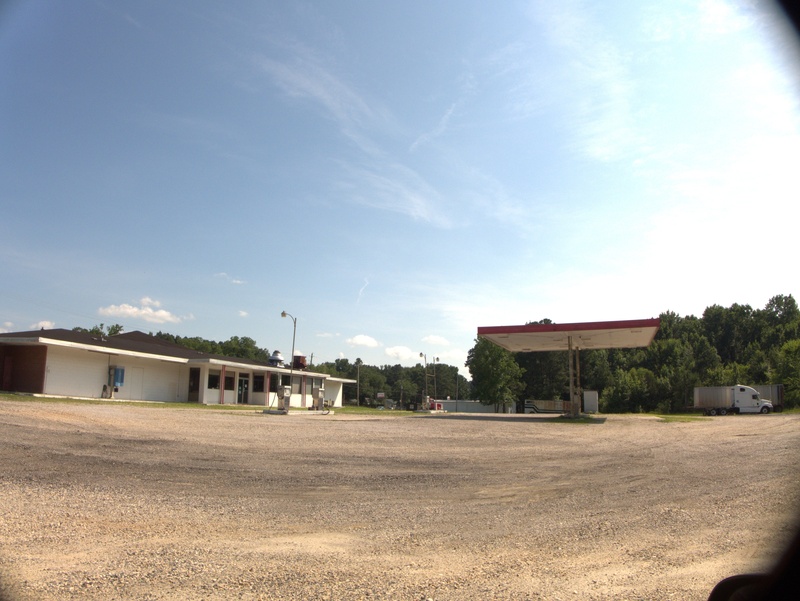 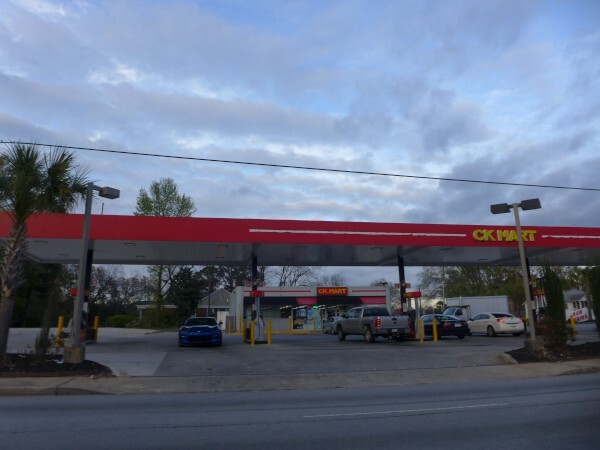 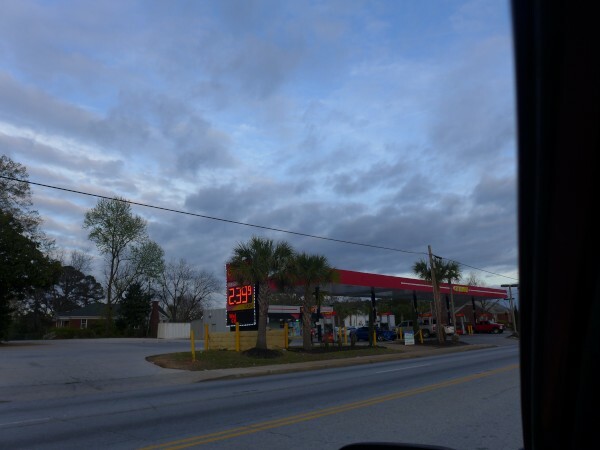 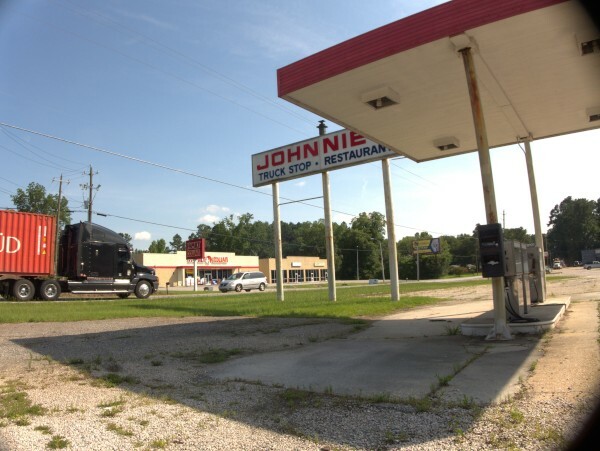 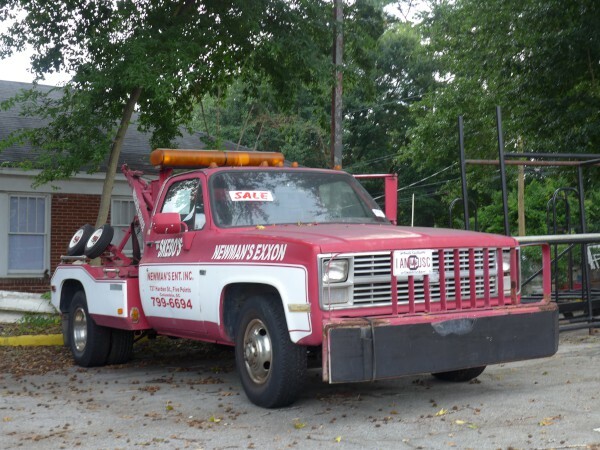 I've had my eye on this old Exxon service station at the corner of North Main & Sunset for several years, mainly because of the tow trucks, as Skibo is a family nickname for several people. 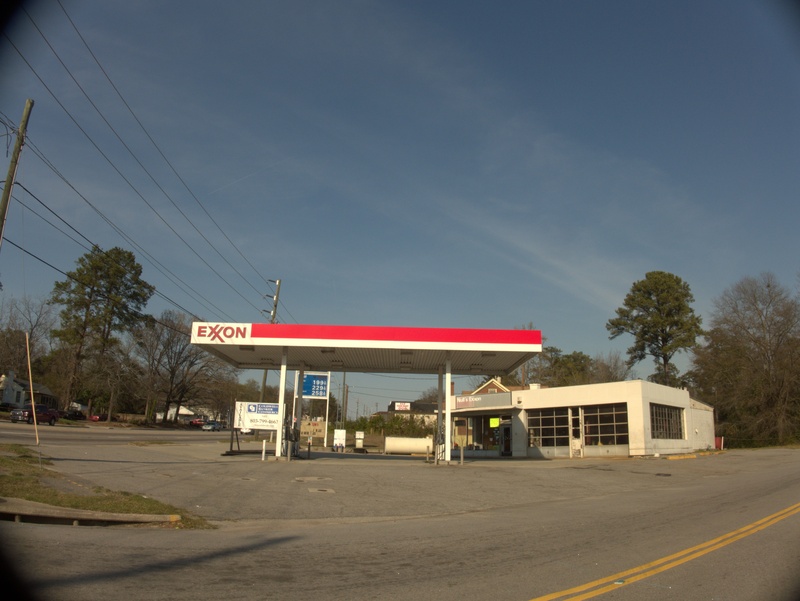 I'm not sure when it stopped being an Exxon, but for the last several years at least, it seemed to be a tires only business with no gas. 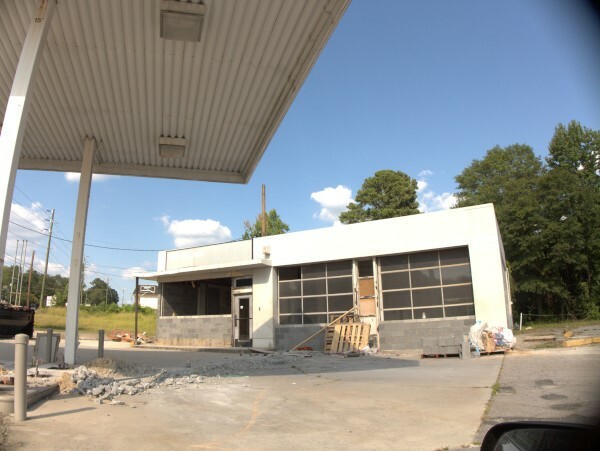 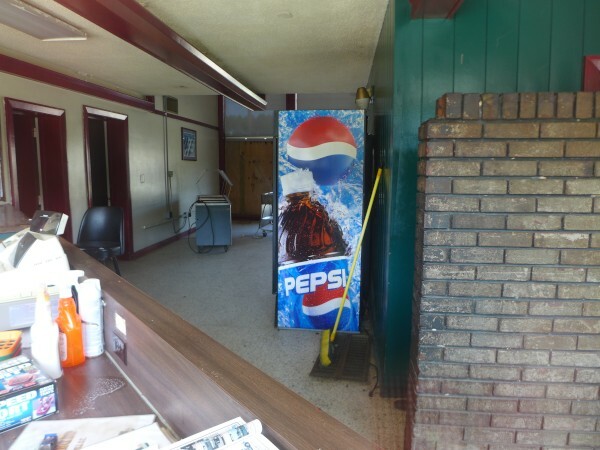 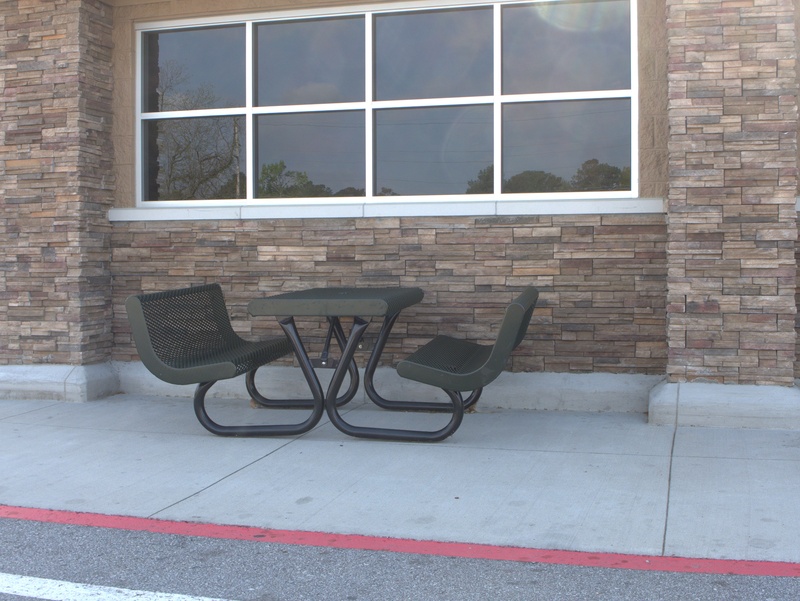 It appears though that its last incarnation was once again a gas station. 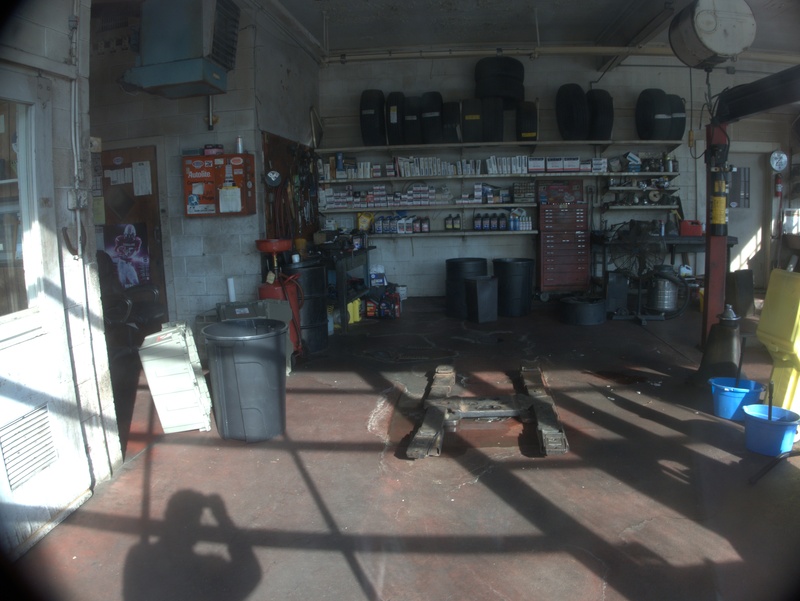 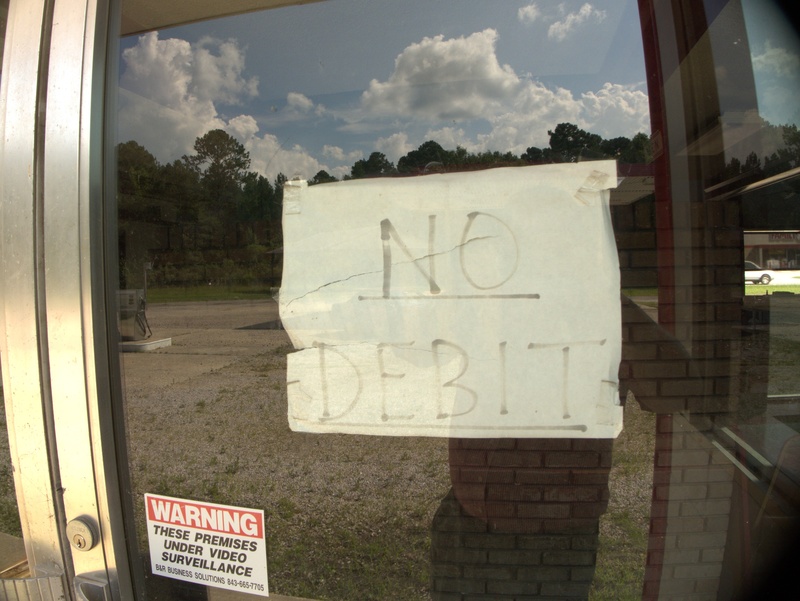 I did a closing on this address when the Jiffy Lube shut down. In retrospect, that seems to have been a harbinger for the whole property. 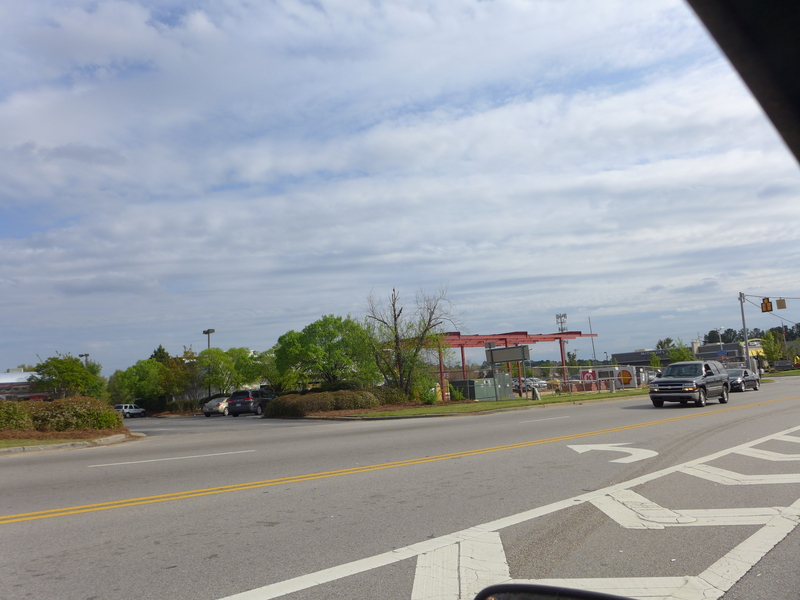 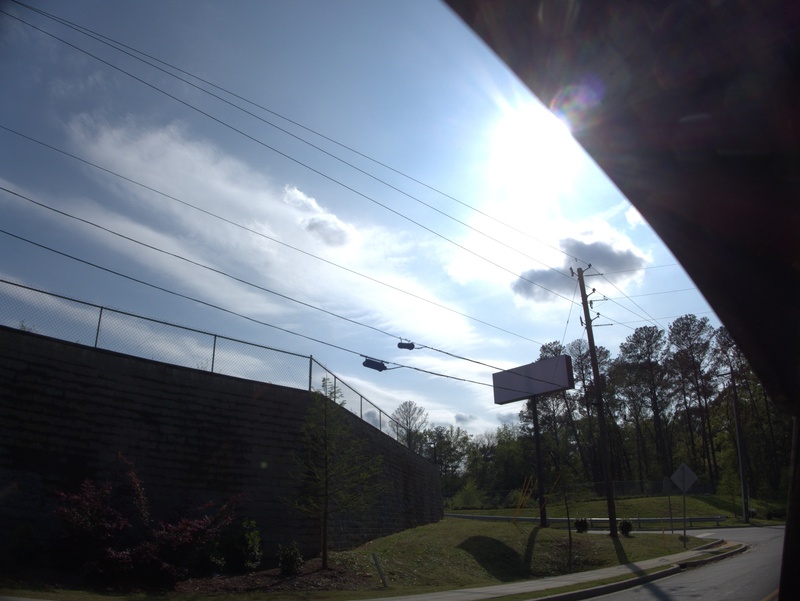 There is a nice little landscape of trees still on the corner, but other than that, pretty much everything else is gone. 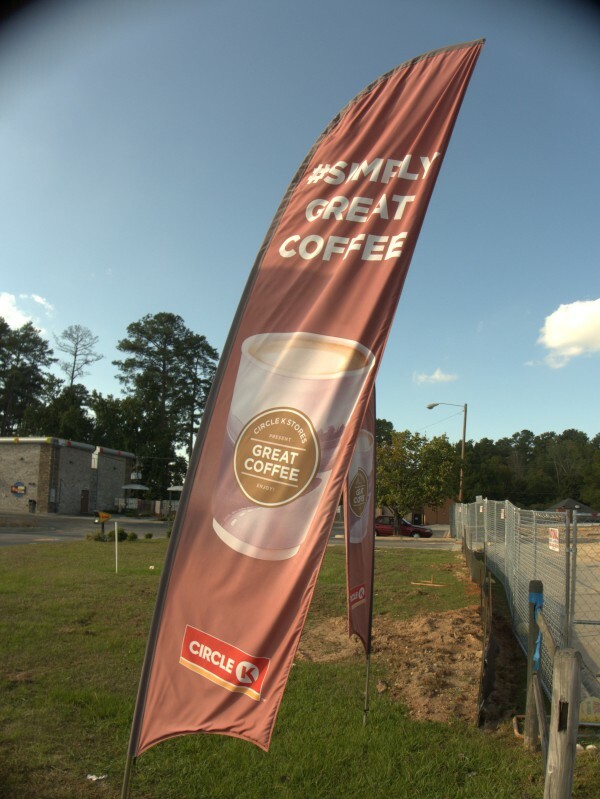 It is a bit amusing that the roadside coffee banners outlasted the buildings by quite a few days. 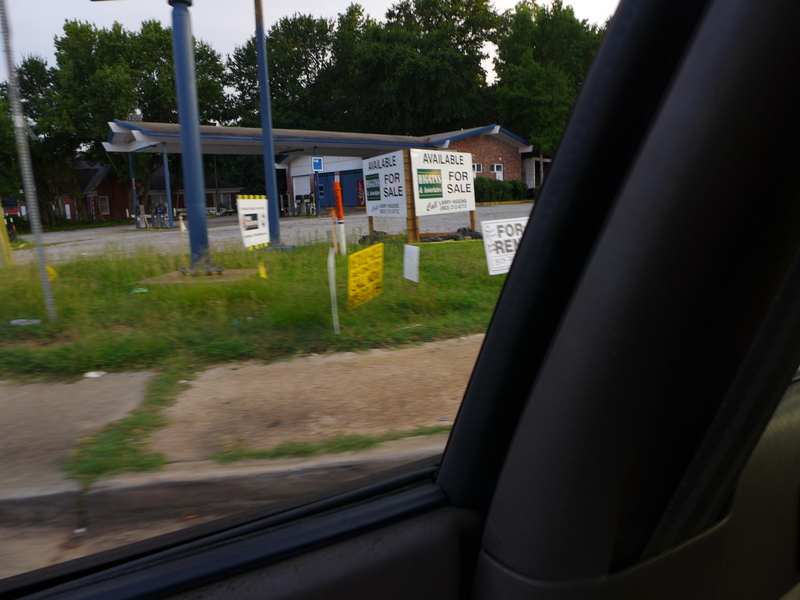 I suspect probably the crews didn't bother to read them and assumed they belonged to the adjacent Sonic. No clue yet what is planned for this lot, but it's a fairly valuable Interstate exit corner now, and just across from a successful new shopping/restaurant plaza. 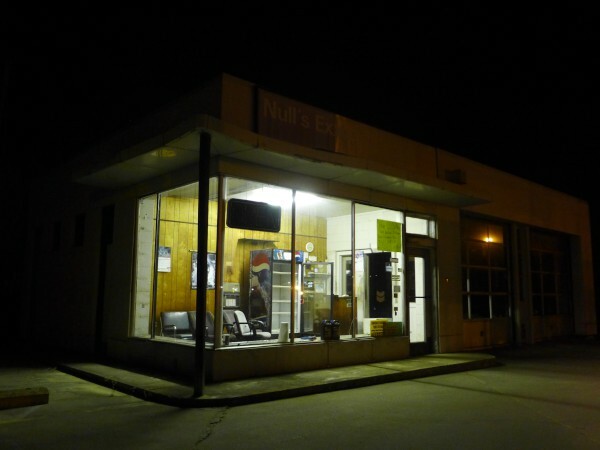 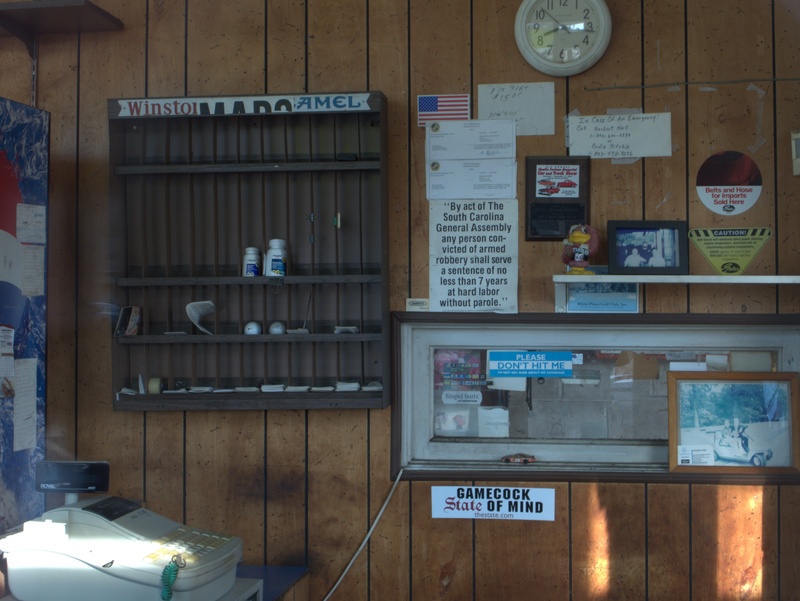 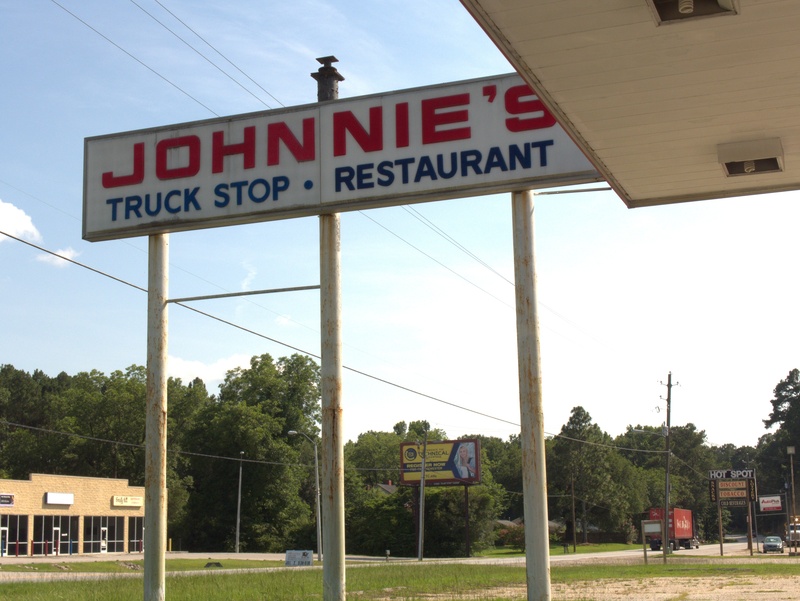 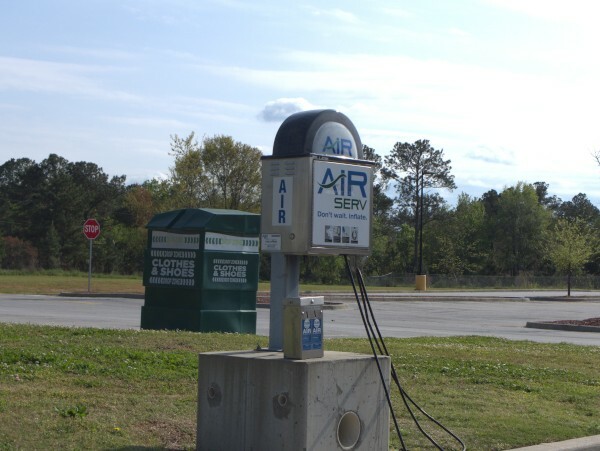 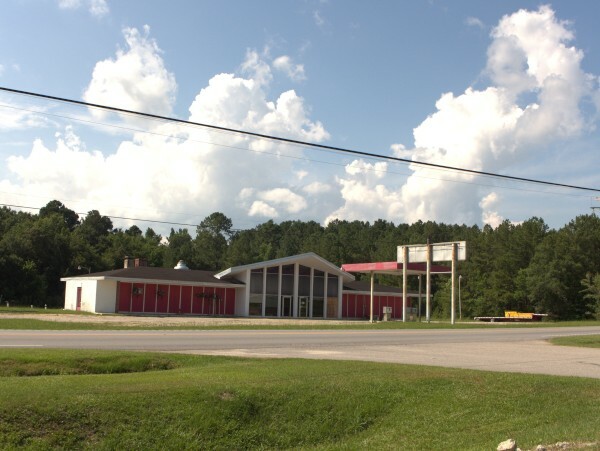 Well, this is one of the last old-time "service stations" around town. 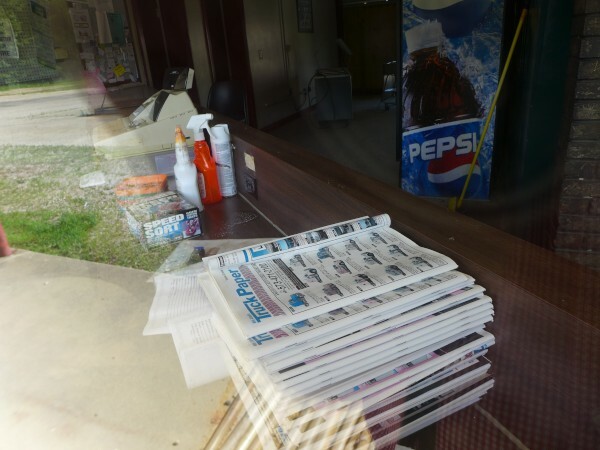 Looking inside is like visiting another age. The "Maps Here" sign is particularly evocative -- there was a time you got your branded highway maps at a service station. 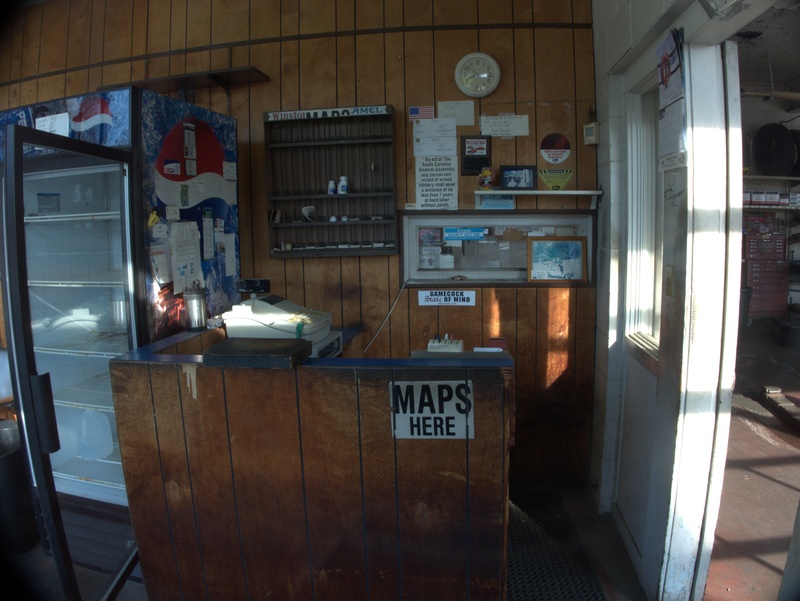 I still have a cubby full of old "Gulf" maps, some predating the completion of the 'I' system. 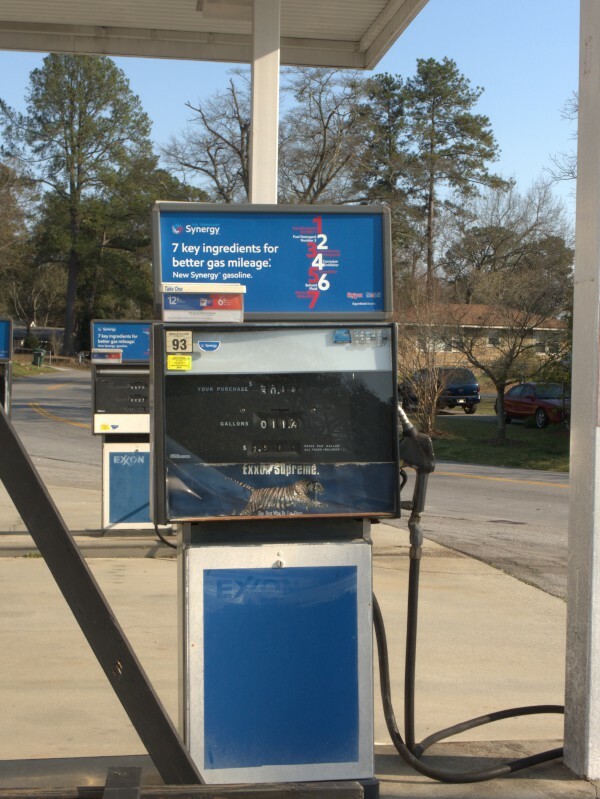 That was also a time when we were convinced that gas was *not* a commodity product, and that "Good Gulf" was better than "putting a tiger in your tank" or vice versa. 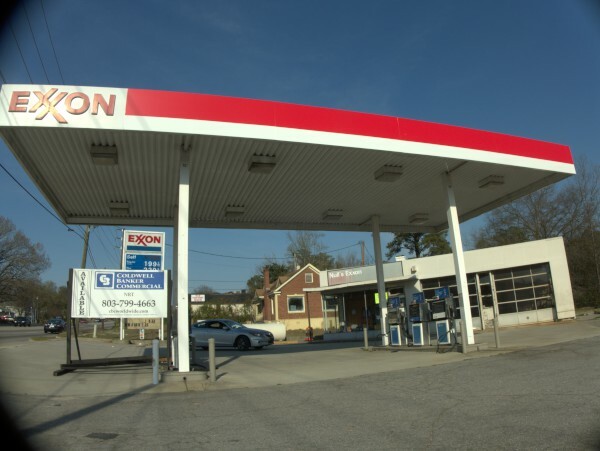 And a man would actually come out to your car, pump the gas, check your oil, check your tires, check your battery and radiator and wash your windows. 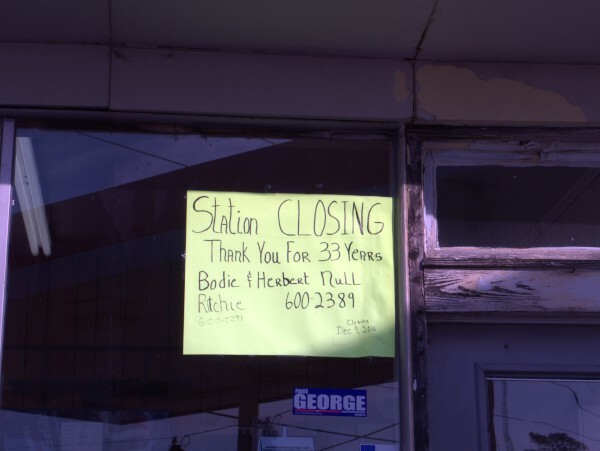 Their sign says they were here for 33 years, which is a good run. 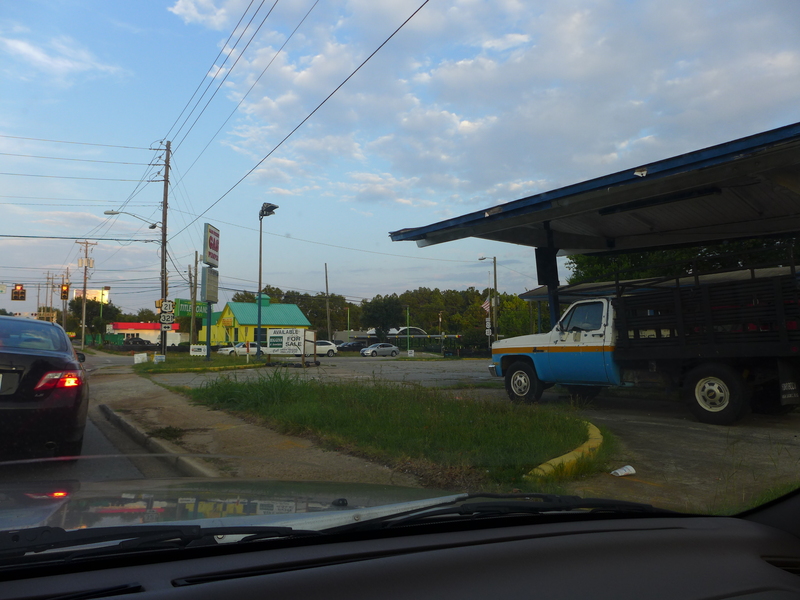 And for context, you can see two former closing in the background: here and here. 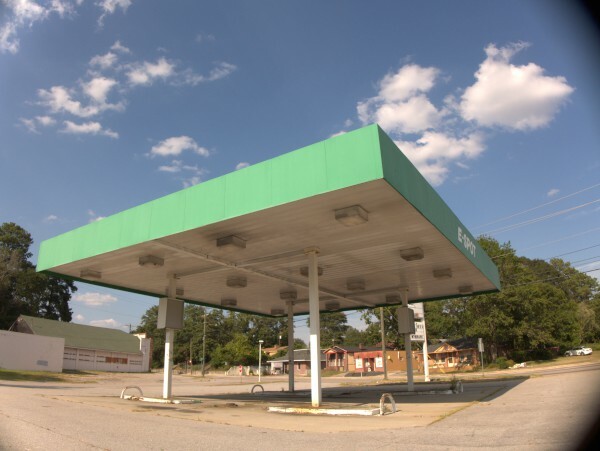 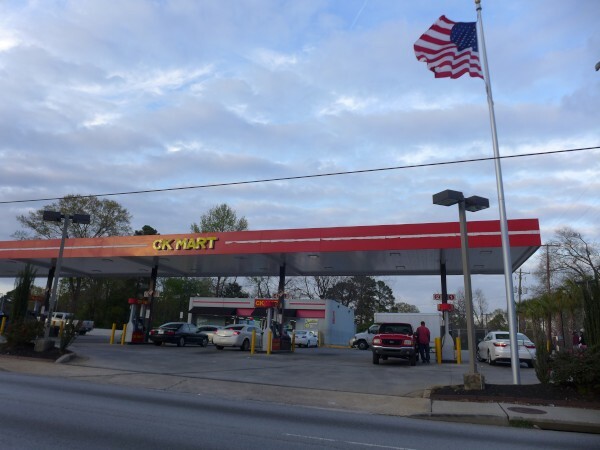 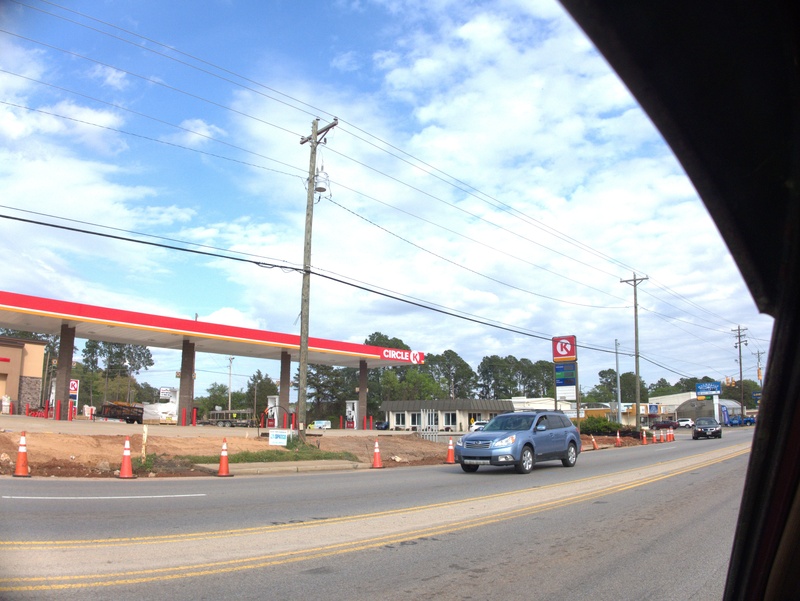 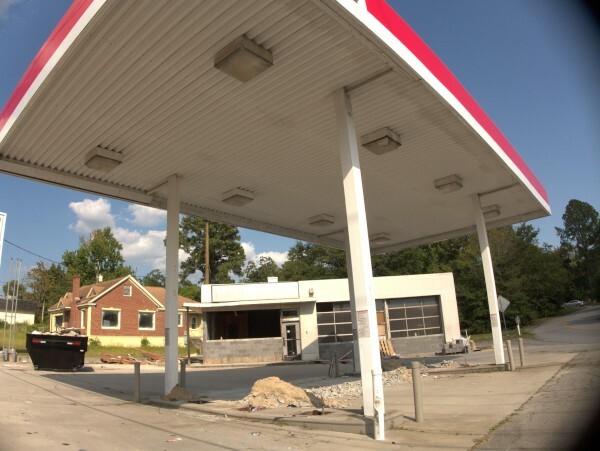 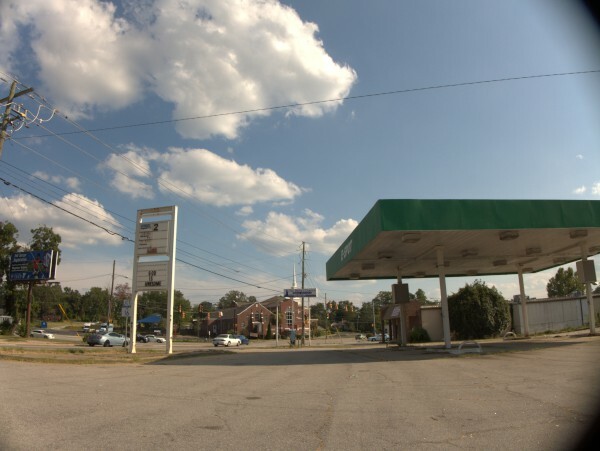 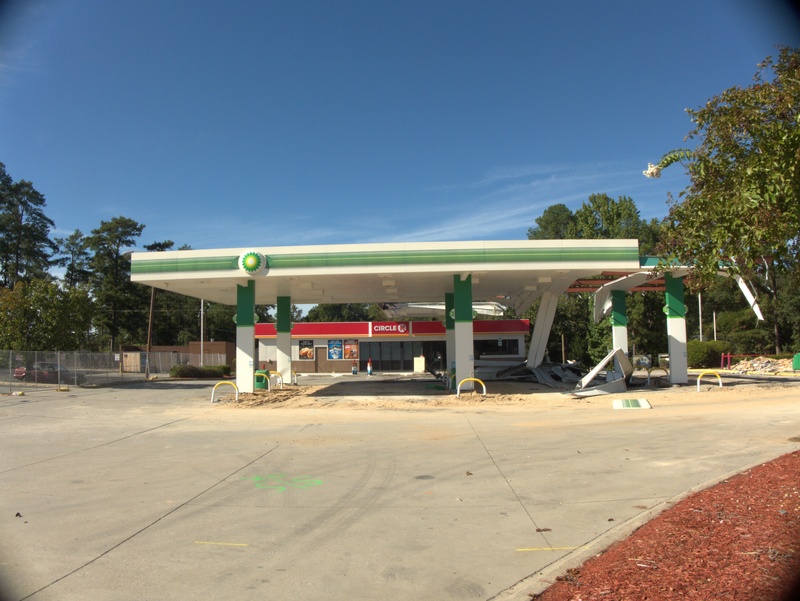 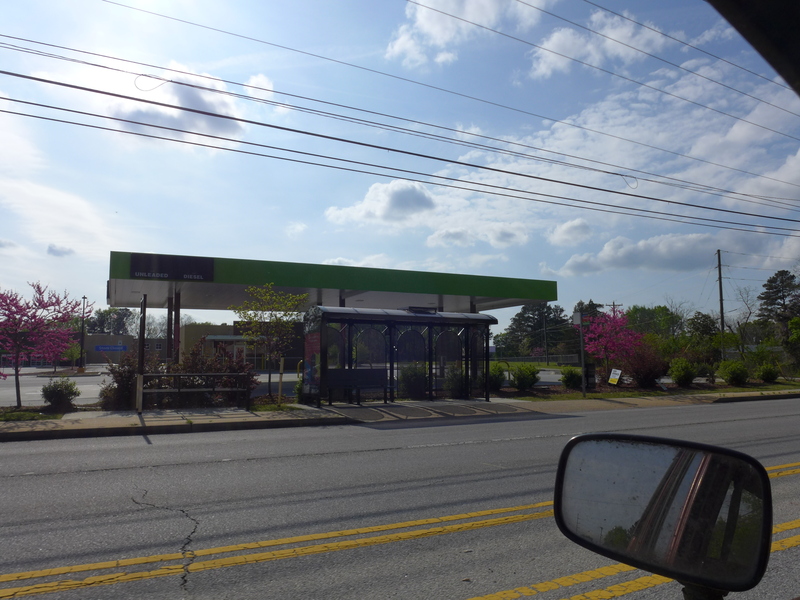 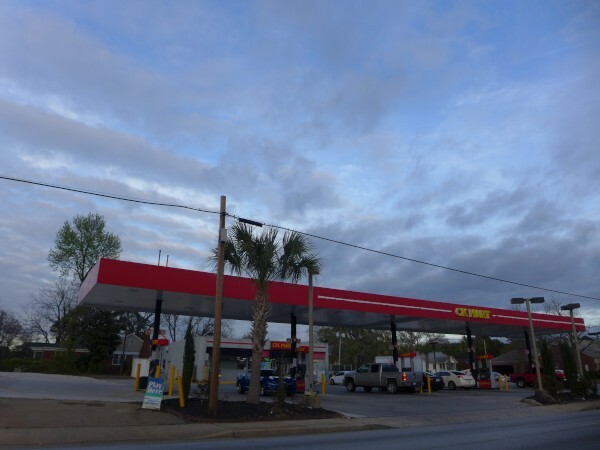 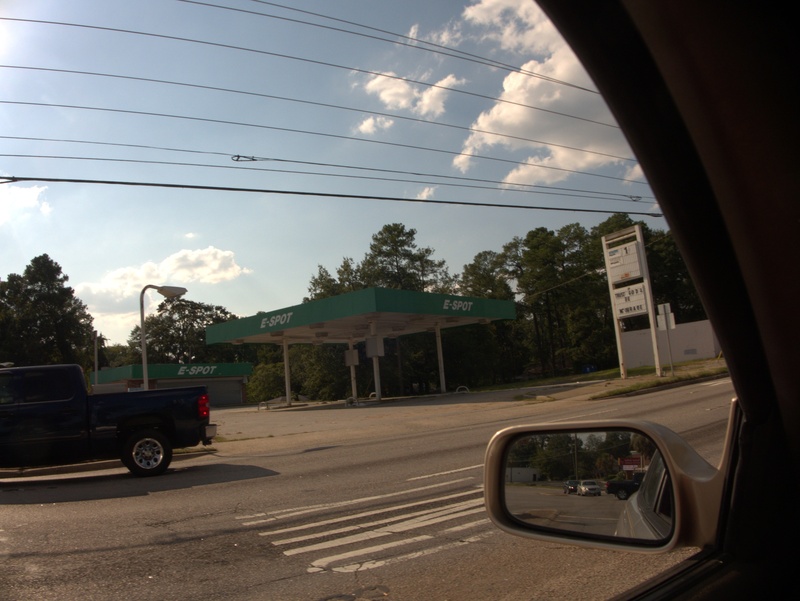 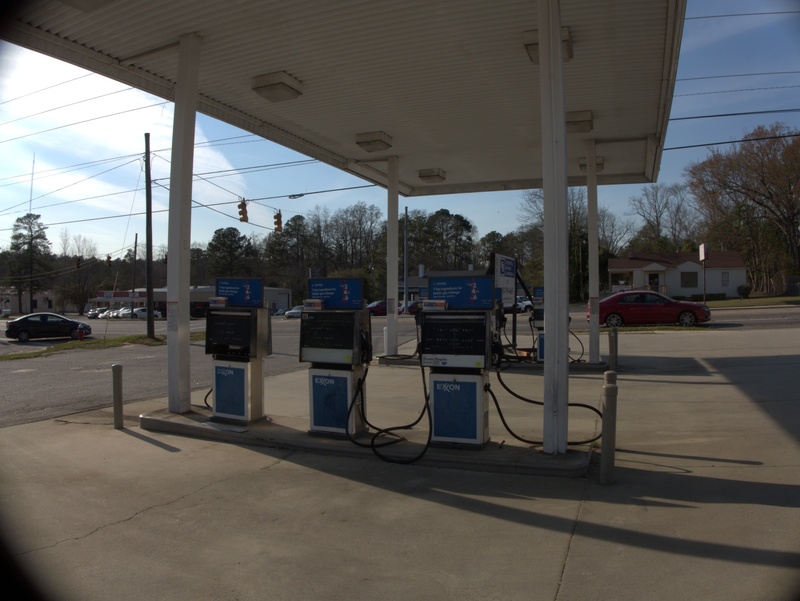 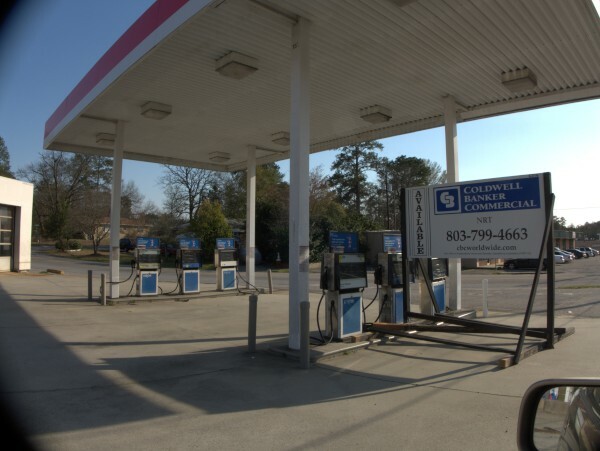 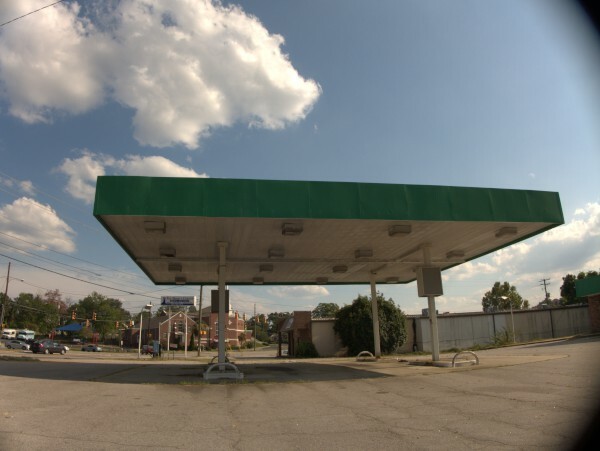 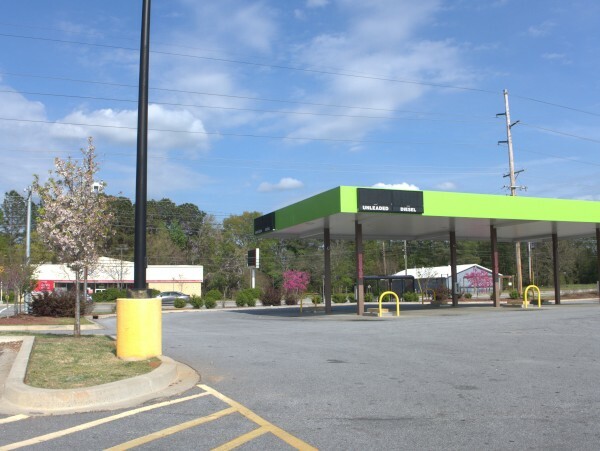 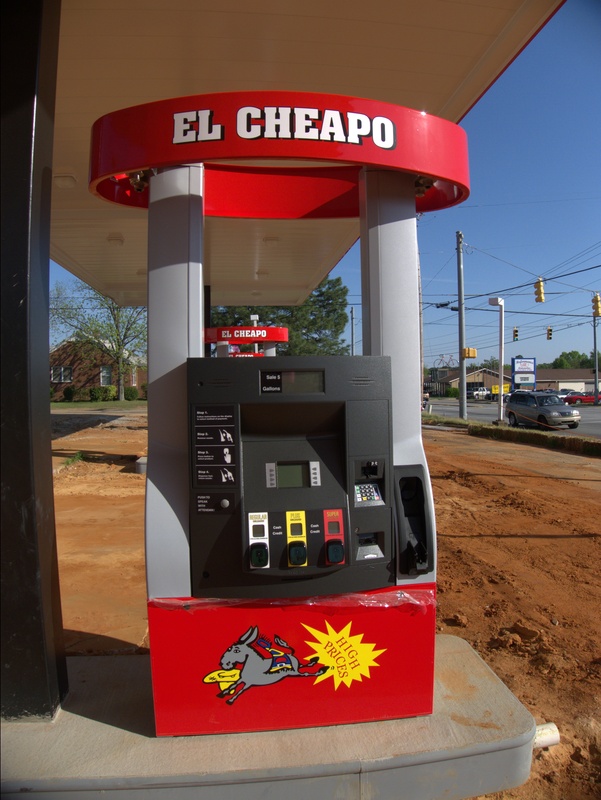 I'm not sure when this convenience and gas operation on Farrow Road almost at Beltline closed, but it was long enough ago that the gas pumps are already gone and at any rate I can't find it in any of my phonebooks. I can say however that it was definitely open as late as December 2008 as you can see from the rather odd linked crime report. You've also gotta love the real estate summary for the location.